Thailand's successes in rolling out UHC has led to a knowledge-sharing partnership with ambitious Kenya. Blockchain developers are working in 669 startups in the Asia-Pacific, with successful examples of smart contracts being implemented in fruit supply chains, logistics, renting free disk space. Why are Asia-Pacific (APAC) countries among the global leaders in dApp development? Indonesia held its presidential election on April 17, and Indonesians living overseas, including in Taiwan, were able to vote. 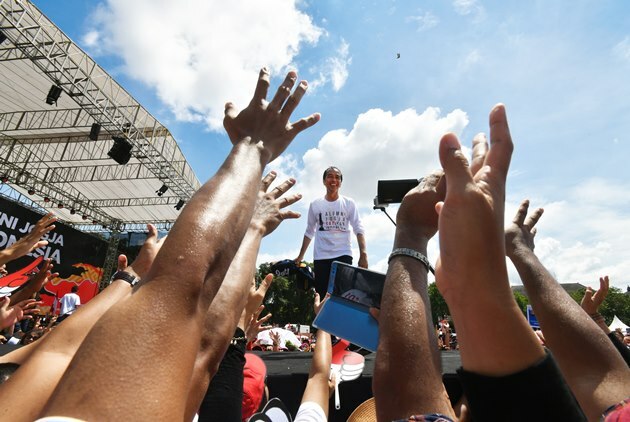 The campaigns of the two main candidates, incumbent President Joko Widodo and challenger Prabowo Subianto, held rallies in Taiwan to court these voters. As voting concludes in the world’s third largest democracy, Indonesia, the scale of the operation is breathtaking. How do you organize an election that spans more than 17,000 islands and hundreds of thousands of local candidates? 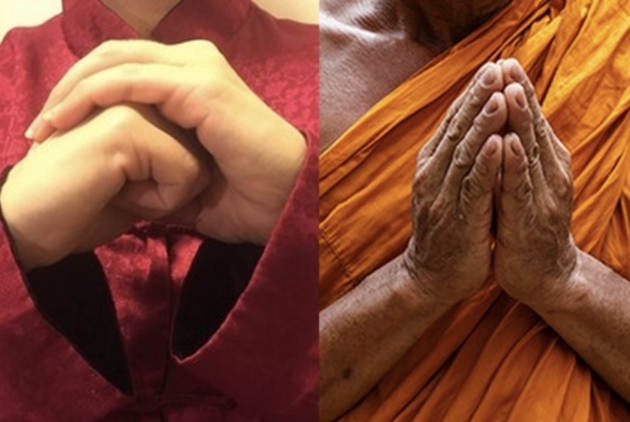 How are Taiwan and Thailand different? How are they similar? Which place is better for what kinds of travel? More than a tourism landmark, Taipei 101 practically symbolizes Taiwan. 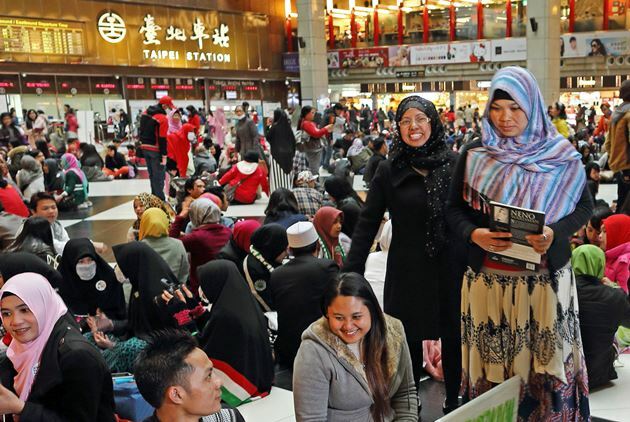 It has also become a spiritual beacon for Southeast Asian guest workers in Taiwan. What truly makes it great is not its height, but its stature. 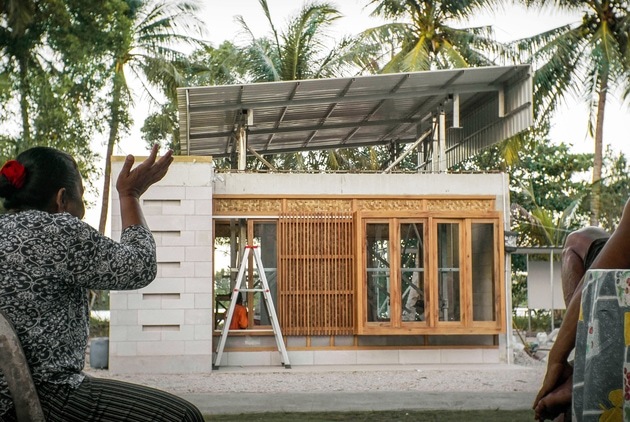 Informal housing is not always a problem to be solved, but can be treasure-trove of city solutions. 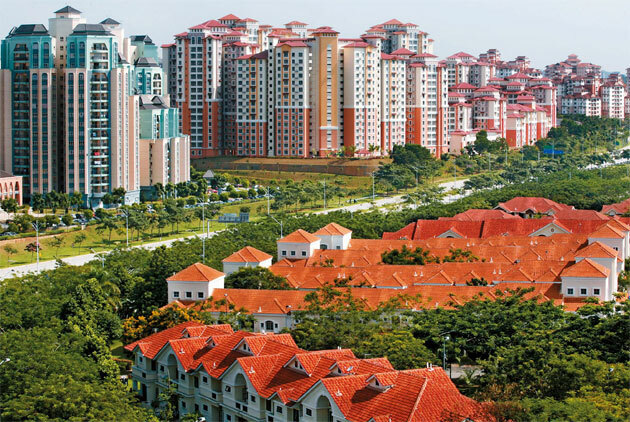 We must learn to see past the spatial irregularity, surface grime and patchy aesthetic of informal housing. The challenge for both the Sustainable Development Goals (SDG) and Gross National Happiness (GNH) is how to translate such ambitious goals into practical development plans and implement them – how to ensure theory turns into practice. The Philippines is the only nation from the region to make the Global Gender Gap Index's top 10. Despite received wisdom, North Korea is a country of individuals - which is why individuals can make a difference. Why are Japanese and Filipinos Coming to ‘Make Babies’ in Taiwan? 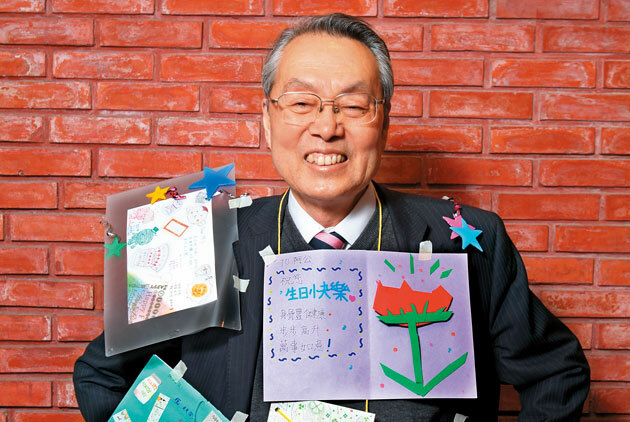 Taiwan’s fertility medicine has long enjoyed international acclaim, with many anxious parents from China, Japan, and Southeast Asia coming to Taiwan in hopes of fulfilling their dream of having children. However, as the market has become saturated, fertility clinics have begun to actively seek ways to sustain their businesses, adopting the electronics industry’s division of labor model via new modes of international cooperation. 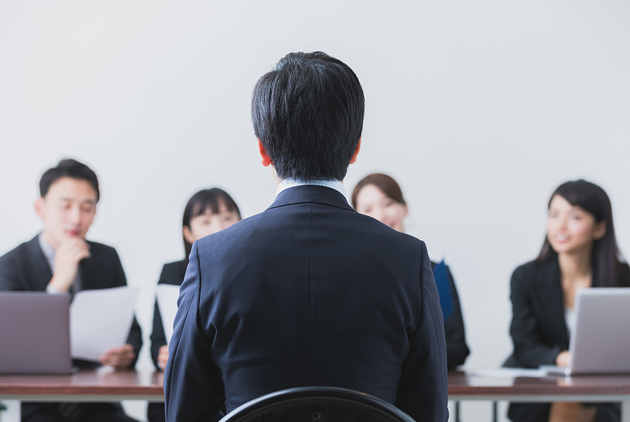 As many as 12 million Japanese people may disappear from the country’s workforce by 2040, according to official estimates. That’s a fall of around 20%. TIMTOS, the Taipei International Machine Tool Show, was held in Taipei on March 4th to 9th. An interesting development is India is now the overseas market with the most potential for Taiwanese machine tools. The elections for India’s lower house of parliament, the Lok Sabha, are the biggest exercise in democracy in the world. As India’s population has boomed, organising the vote has become a vast logistical operation, costing tens of trillions of rupees (hundreds of millions of dollars). How do playgrounds develop over time as social environments and human needs keep changing? 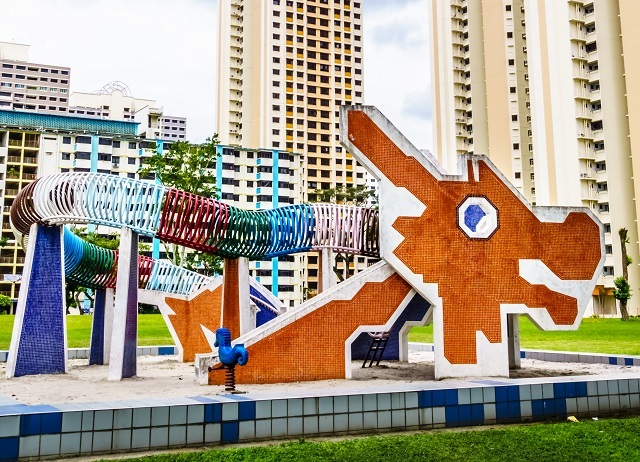 How do the playgrounds of the past influence the selection and design of future playgrounds? Demand for electric vehicles in China is soaring. Nearly 1.3 million new energy vehicles (plug-in electric vehicles and plug-in hybrids) were sold there last year – a 62% rise on 2017. To put that number into context, it’s estimated that as of September 2018, there were only around 4 million electric vehicles in use across the whole world. Who to Call for Cybersecurity Technology? In July of 2018, Singapore’s largest health care group was hacked and the records of 1.5 million patients stolen. 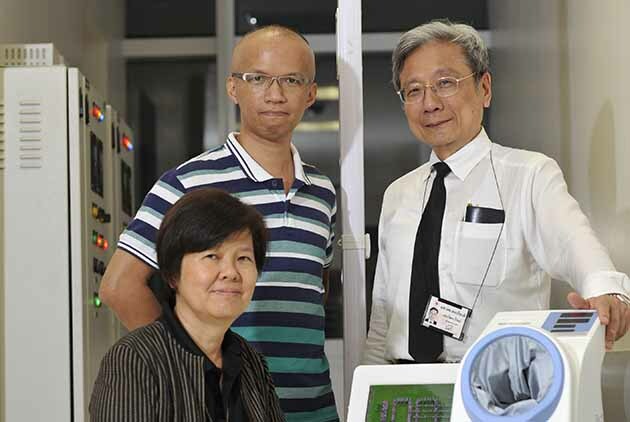 When a shocked Singapore took steps to address the problem, one of the key players it called for help was a Taiwanese company. 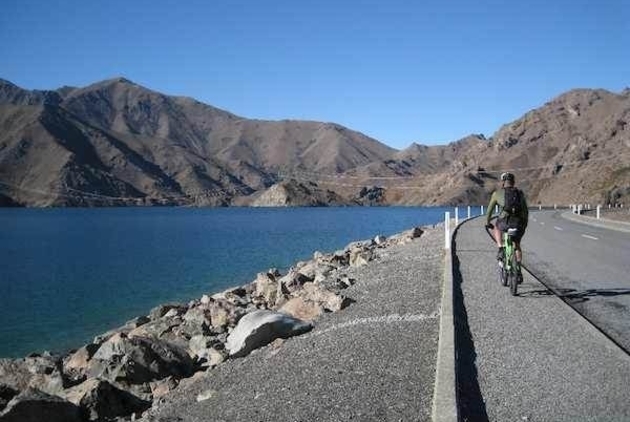 Tourism is one of New Zealand’s biggest economic sectors and its biggest export earner. In the 12 months to March 2018, international visitors generated NZ$16.2 billion (around $11 billion) for the antipodean archipelago. 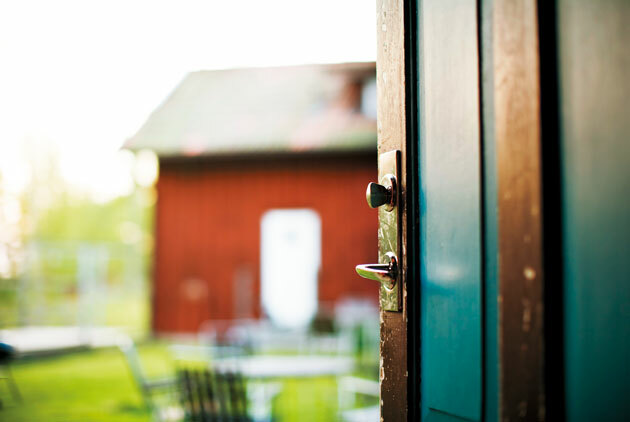 But while an overwhelming 95% of New Zealanders agree international tourism is a good thing, there are concerns that, if left unchecked, it could lead to problems. 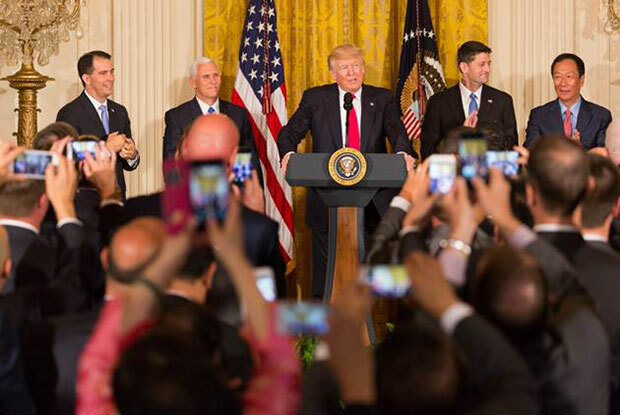 Major electronics makers are desperately seeking new production bases as the U.S.-China trade war shows no signs of abating. 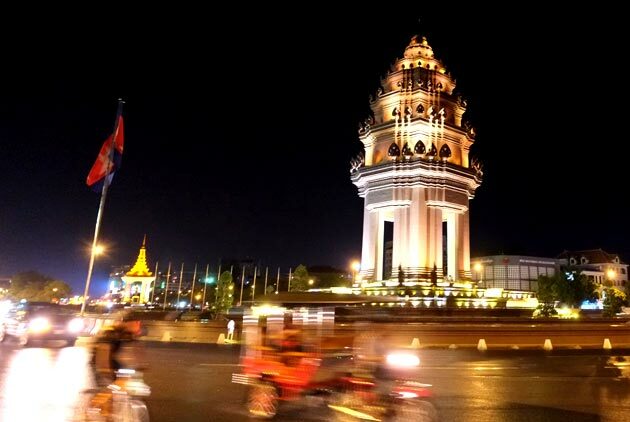 For many, Vietnam is the top choice, with a powerful electronics cluster taking shape in the northern part of the country. We went there to find how what’s happening. 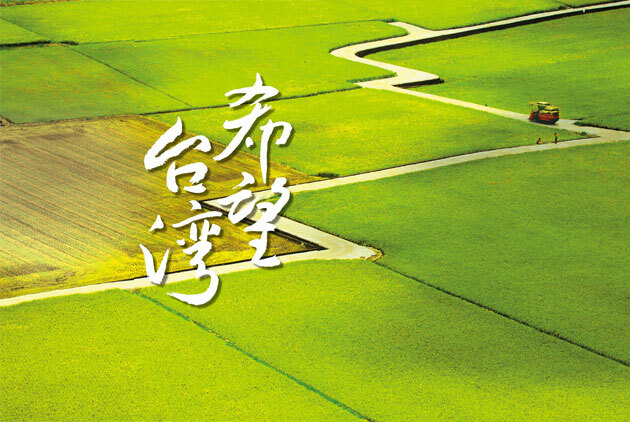 For almost 10 years, Beijing’s China Agricultural University has been running the Science & Technology Backyard (STB) project in villages across the country, allowing students to apply their academic knowledge to maximise crop yields. Elderly crime is on the rise in South Korea. 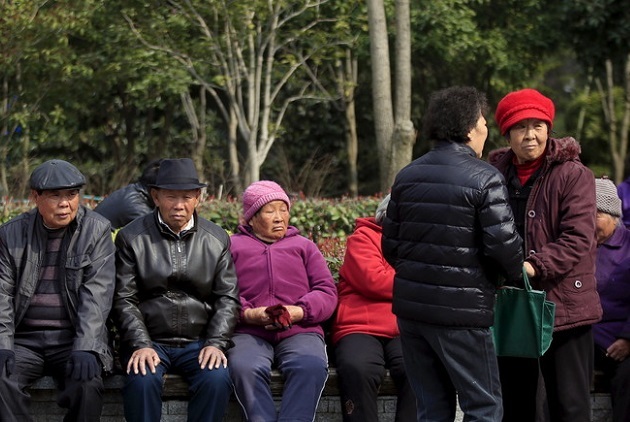 The number of crimes committed by senior citizens increased by 45% in the past five years, according to police and government statistics reported by the South Korean media. 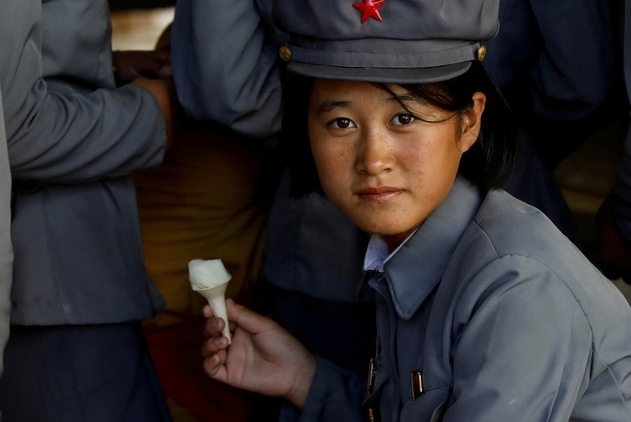 How should Asian countries respond to Beijing’s burgeoning economic and political influence? 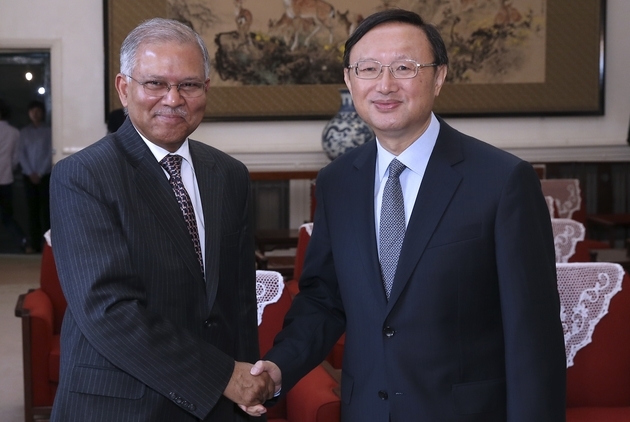 CommonWealth Magazine spoke to India’s former ambassador to China, Ashok K. Kantha, to get his insight on how to deal with this rising superpower. 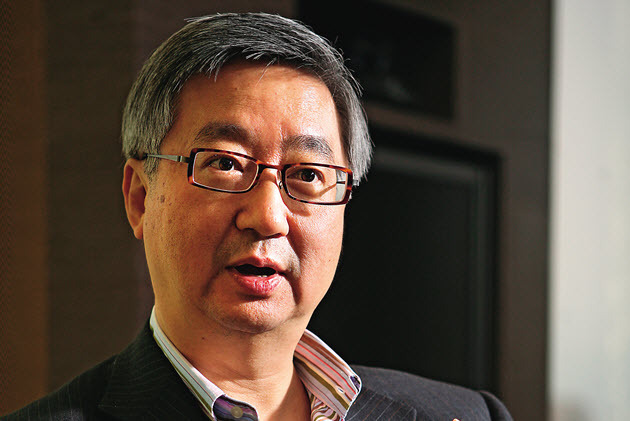 Has HR Analytics Arrived in Asia? 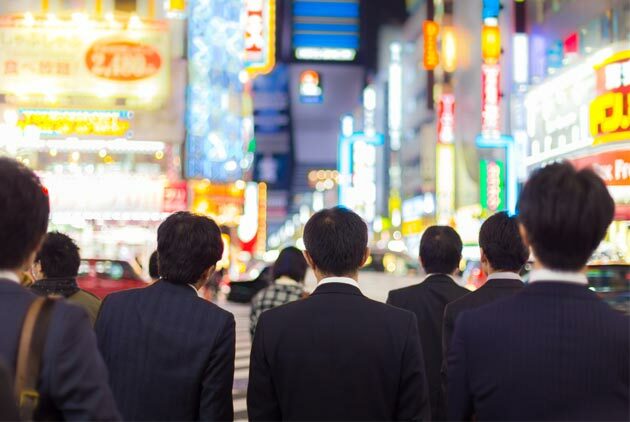 Is people analytics as developed in Asia as it is in the US? If not, what opportunities remain untapped? 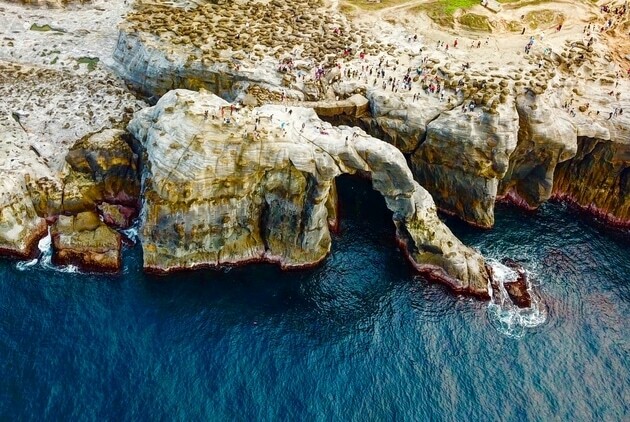 The fate of Taiwan’s tourism sector has been closely tied to the ebb and flow of Chinese visitors. But a closer look at visitor numbers reveals that future growth in Taiwan will likely come from other sources. What China touts as the largest individual income tax reform in two decades seems to lessen taxpayers’ burden. However, the reform also closes loopholes and threatens draconian measures against tax evasion, making sure that Taiwanese expats don’t avoid a single penny in income tax. 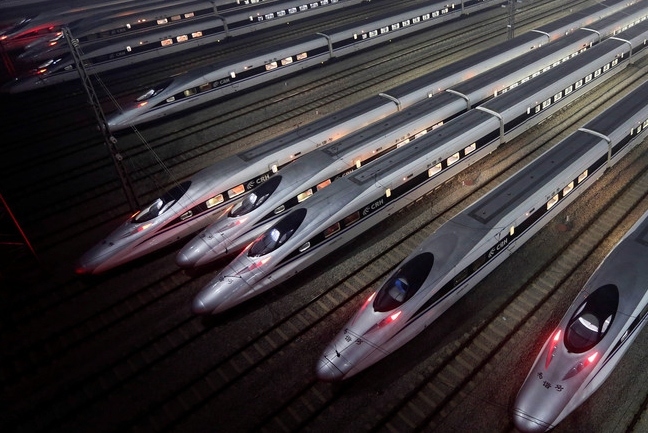 China’s bullet train network is fast expanding, and it will soon extend under the sea. 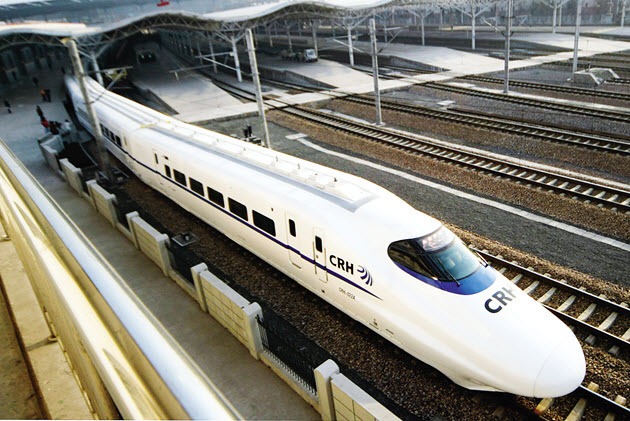 Officials in Beijing have approved construction of a 77km high-speed rail link between Ningbo, a port city south of Shanghai, to Zhoushan, an archipelago off the east coast. 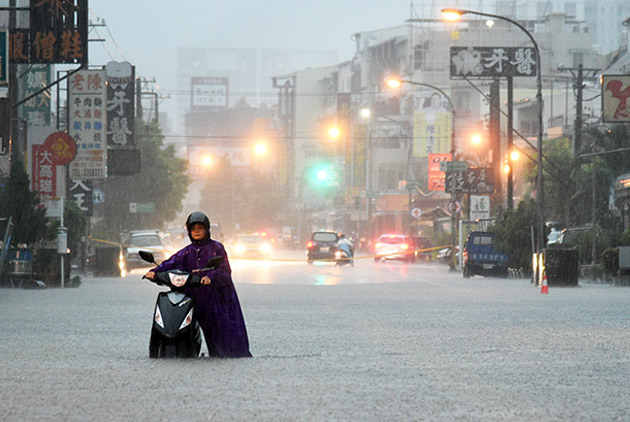 Is it Real that Asia-Pacific is Especially Prone to Natural Disasters? Humanity is faced with more natural disasters, which last longer and impact more people than ten years ago. Climate change, population growth and urbanization are contributing to an increase in both the number and severity of disasters, with the Asia Pacific region particularly badly hit. South Asia has the potential to become a hub of innovation in the Fourth Industrial Revolution (4IR): with its young population well connected to new global technological developments; opportunities created by the growth of 4IR technologies; and a large, educated labour market. 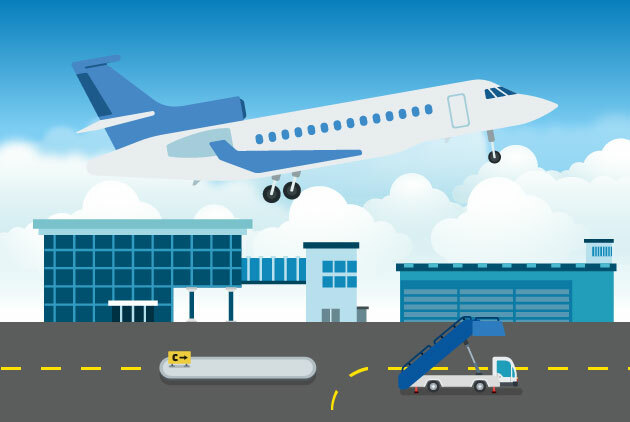 As the aviation industry continues to expand rapidly over the next two decades, growing demand for airline seats will outstrip the supply of qualified pilots. The biggest shortage will be in Asia where airlines have more new planes on order than anywhere else. 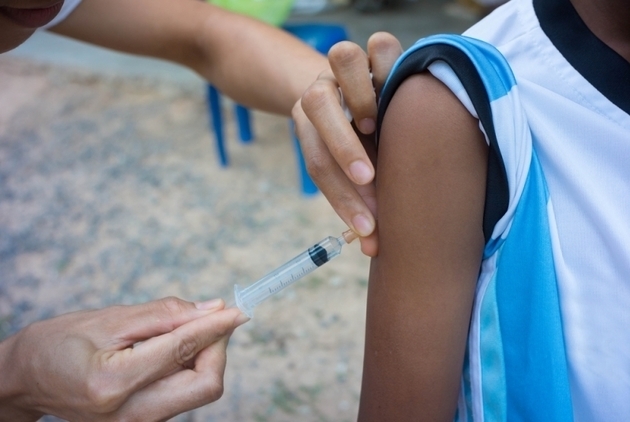 The new World Bank Human Capital Index highlights the benefits of investing in health and education, and the potentially dire consequences of leaving people behind. The island nation is changing its educational focus to encourage school children to develop the life skills they will need when they enter the world of work. 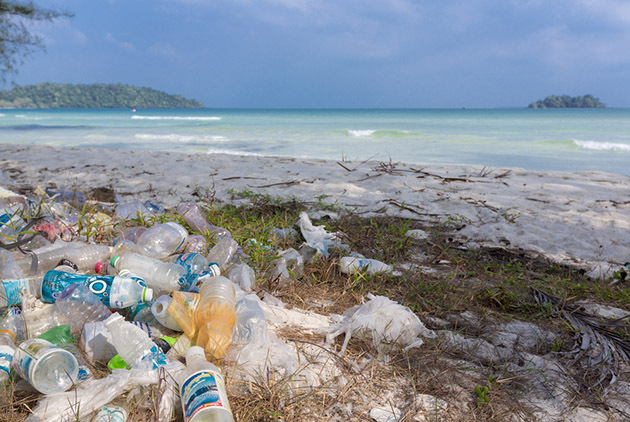 Every year 8 million tonnes of discarded plastic ends up in the ocean, and the situation is getting worse. 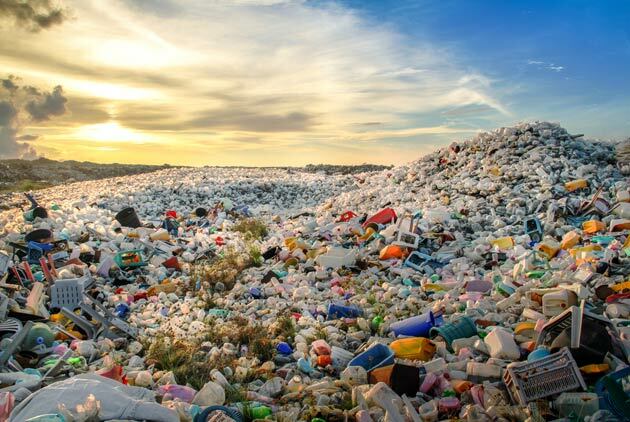 According to a World Economic Forum report, under the current mode and growth of plastic usage, there will be more plastic than fish in the ocean (by weight) by 2050. 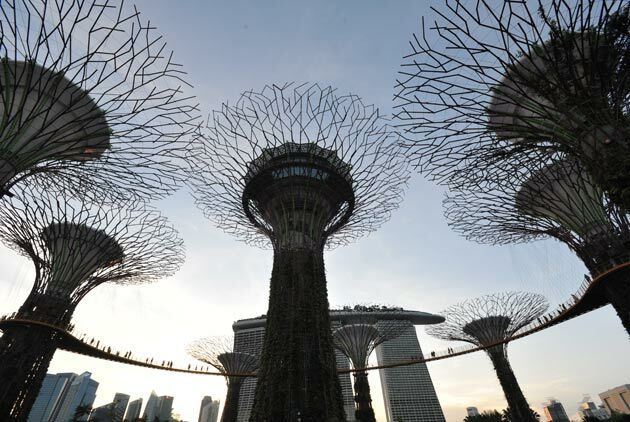 The World Economic Forum has selected 80 winning start-ups to take part in its ASEAN 2018 summit as part of a competition to find the region’s most innovative new companies. Investors look out! Financial crises are emerging in emerging markets. Turkey, Argentina and Indonesia have experienced plummeting currencies and outflow of foreign investment. What do these countries have in common? From military installations to artificial islands, it has become increasingly clear that China has been taking active steps to secure access to energy in South China Sea. Why is energy security important to China? 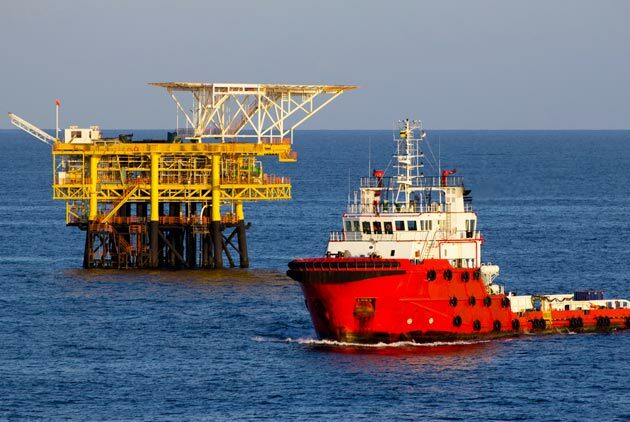 In what ways is the South China Sea important to China’s energy security? 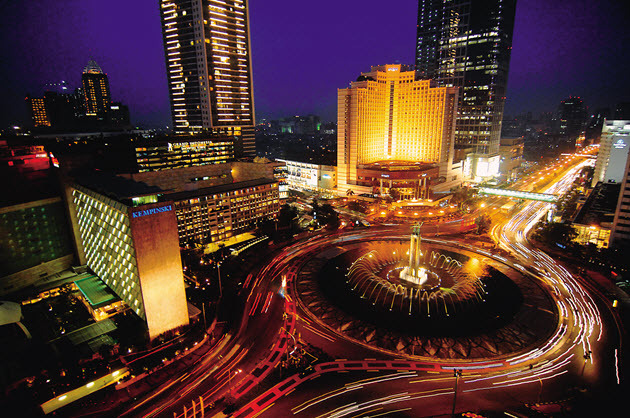 Jakarta, the host of the 2018 Asian Games (Jarkata Palembang 2018), is now in Asia's spotlight. The large city has been growing, developing...also sinking. 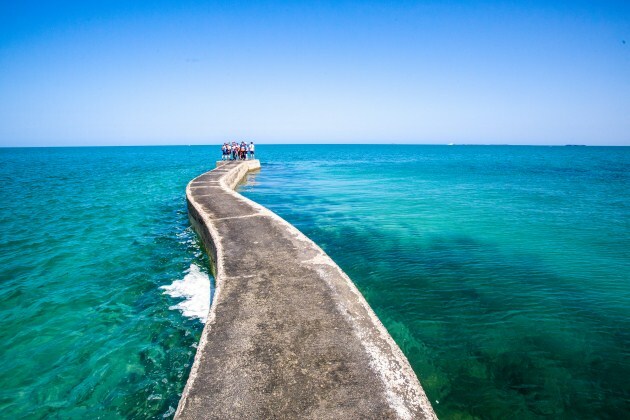 The rising sea level caused by climate change is threatening the city's future. 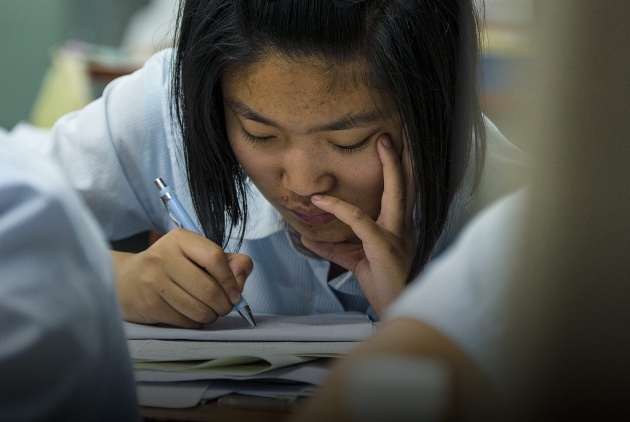 A coastal city in China is famous for its top exam results — but the intensive academic culture is grinding down teachers and students alike. 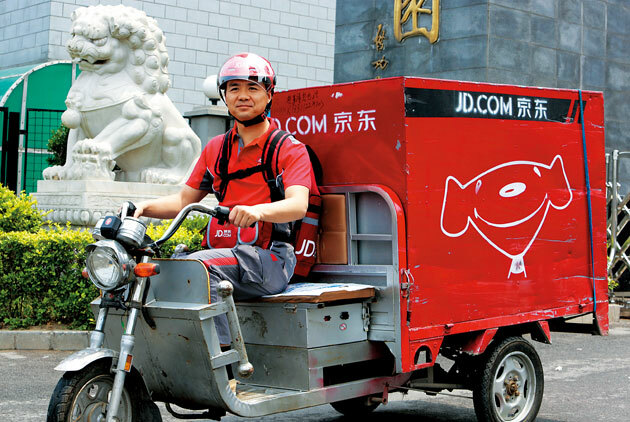 Baidu, the Chinese tech giant is aiming to enter Japan while eyeing on several overseas market. 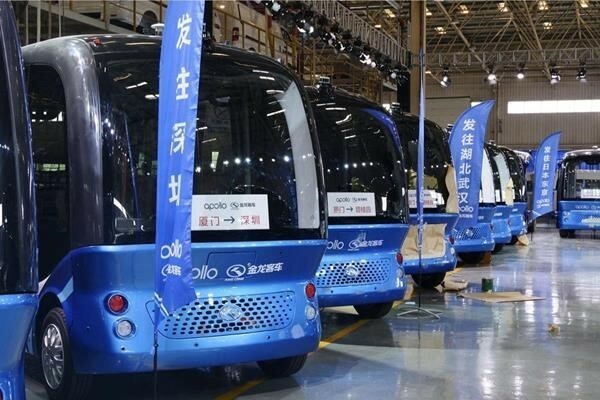 This autonomous driving bus is one of Baidu's major steps to its international expansion. For many Southeast Asian women who get married and settle in Taiwan, the transition can be difficult. 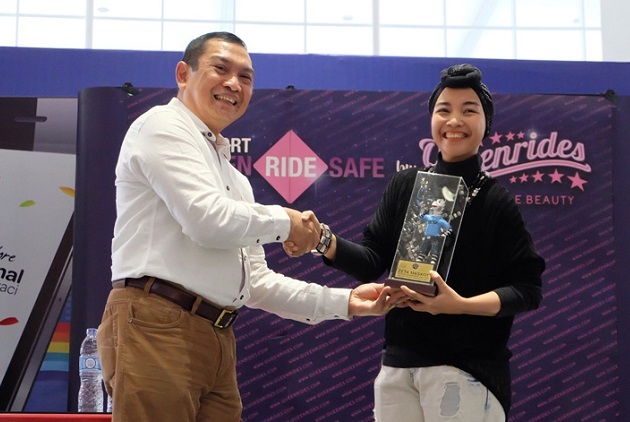 Filipina Genevive Pajo Paliota, or simply Gen, has dedicated herself to helping those women and build bridges with Taiwanese society. Many of the world's most affluent cities have large carbon footprints. However, according to a new study, this makes tackling the global emissions problem more manageable than it first appears. 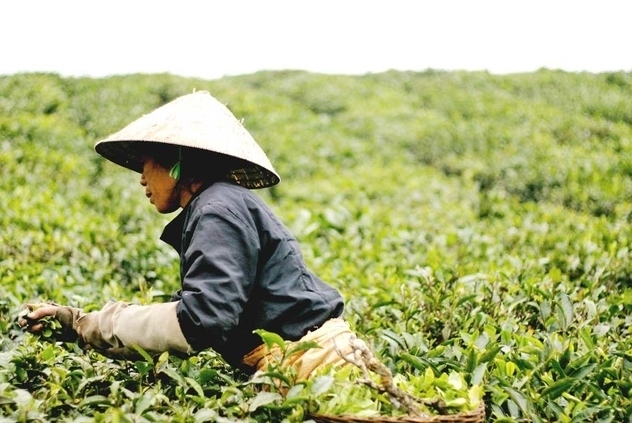 We asked policy experts and business leaders: how can countries really reap the economic and social benefits of global value chains (GVCs), while avoiding inequality and environmental damage? 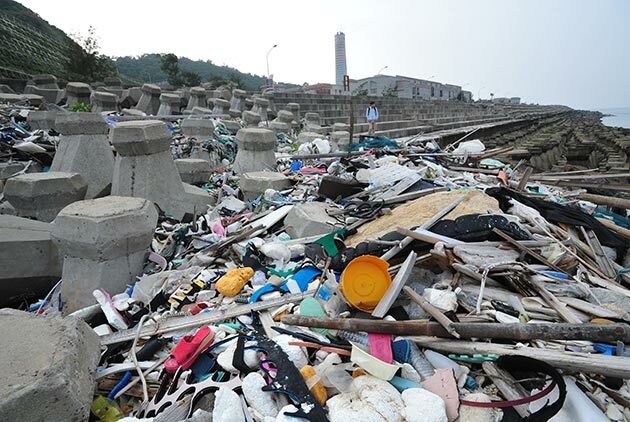 Taiwan has an enviable record of recycling plastics while Indonesia is one of the world’s biggest contributors to plastic waste in the oceans. But are the two countries really that different when it comes to fighting marine pollutants? How can Taiwan bring to bear its touristic attractiveness given that its neighbors have made quality tourism a national strategic goal? 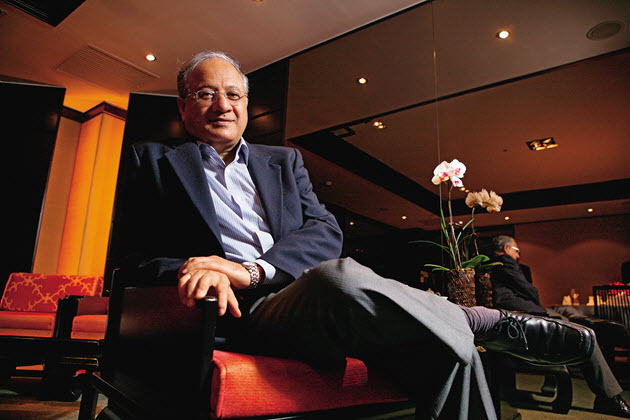 India is an enormous market, yet to date there are fewer than 100 Taiwanese companies in India. Why is that? Continental Holdings Chairman, Nita Ing, observes that as an ancient and diverse country, India exhibits dual charms and burdens. 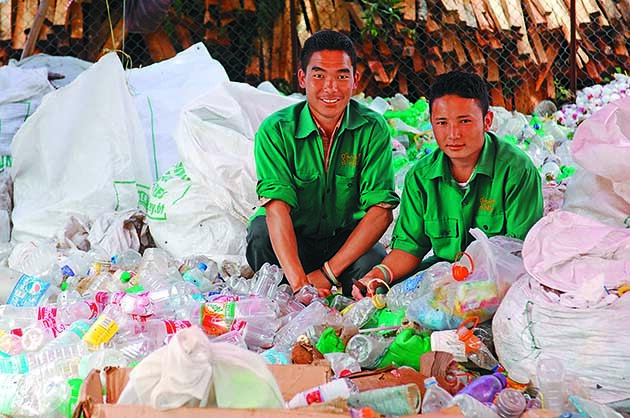 Asia is responsible for 8 of the rivers that have the most plastic waste. Four years ago, Chinese smartphone maker Xiaomi entered the Indian market, where it went up against the seemingly impenetrable market leader Samsung. In just two years, it became the leading smartphone brand in India, commanding over 30 percent market share. 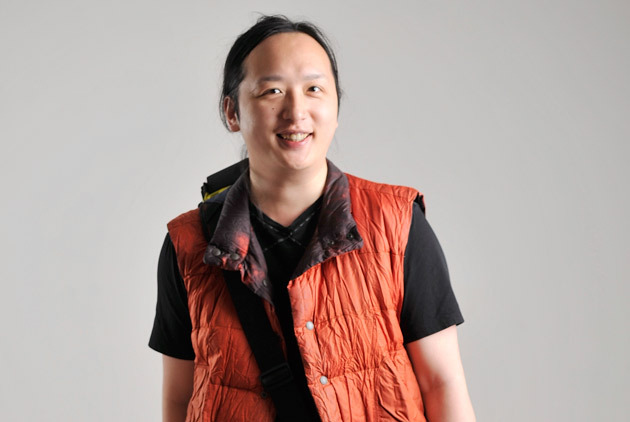 What lessons does Xiaomi’s sweeping success have for Taiwanese firms? 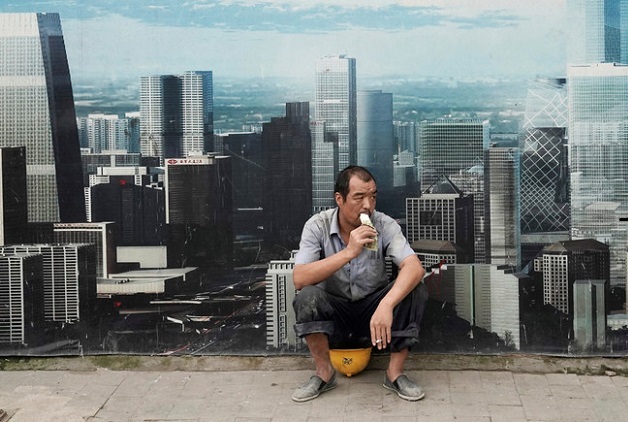 Will China Grow Old Before It Gets Rich? Could India soon be the biggest driver of global growth instead of China? 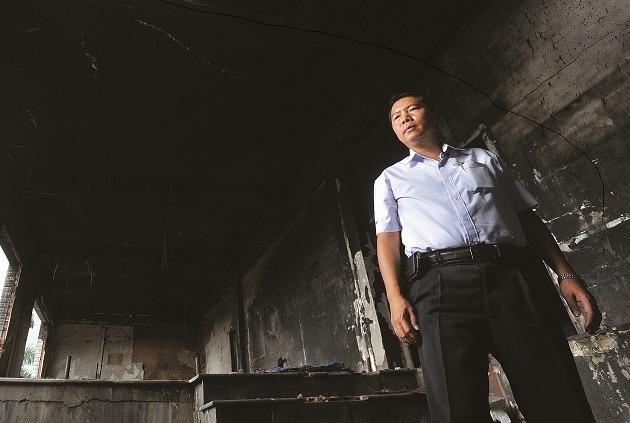 “When I looked outside through a gap in the curtains, I could see downtown Jakarta burning.” This is how an eye witness described the fires set by looters in the anti-Chinese riots in Indonesia that shocked the world in 1998. How do those who went through the horrors of ethnic violence remember this dark chapter of Indonesian history? There are many factors which come together to determine the level of a country's real-world power. What is Taiwan's status in terms of resource and influence on this power list? As Malaysia’s stunning election is getting interpreted by many Taiwanese media as “the victory of anti-China over pro-China," this is what the newly elected Prime Minister says about Malaysia's relation with China and Taiwan. 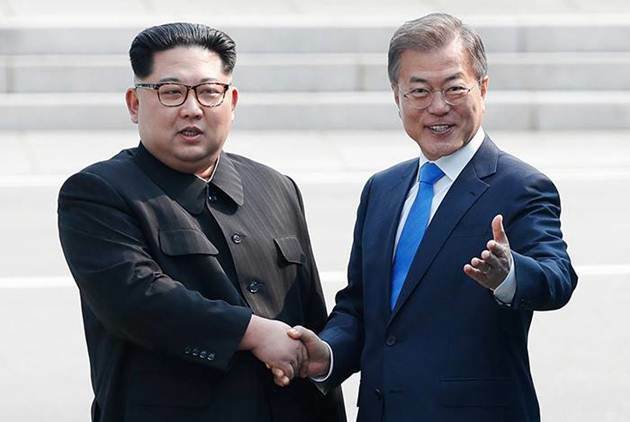 Communication between North and South Korea has been somewhat tense over recent decades, but that might soon change. 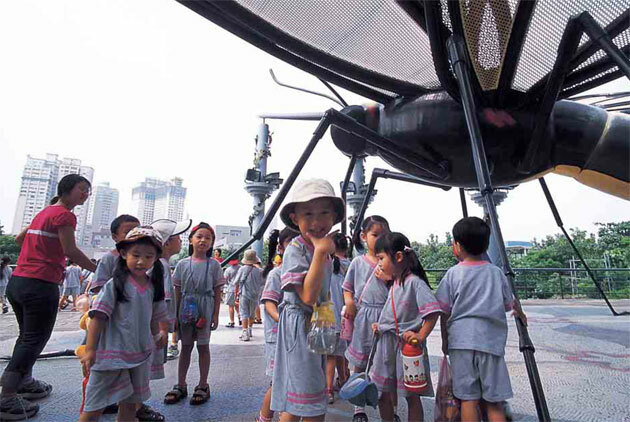 What Makes S. Korea and Sweden the Most Innovative Countries in the World? These are the most innovative countries in the world, South Korea, Sweden and Singapore top the list. 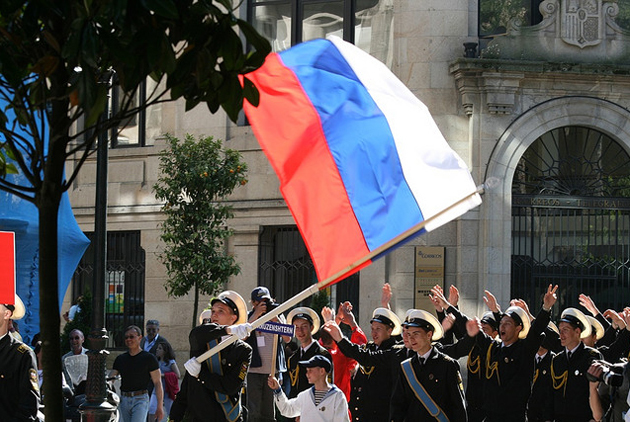 Are Closer Taiwan-Russia Relations Possible? How? Interaction between Taiwan and Russia largely rests on trade, which has grown over the years but seen little structural change. Multilateral mechanisms such as APEC and the WTO might offer opportunities for exploring new fields of bilateral cooperation. E-commerce vendors expanding into Southeast Asia need a unique sales model for each country. 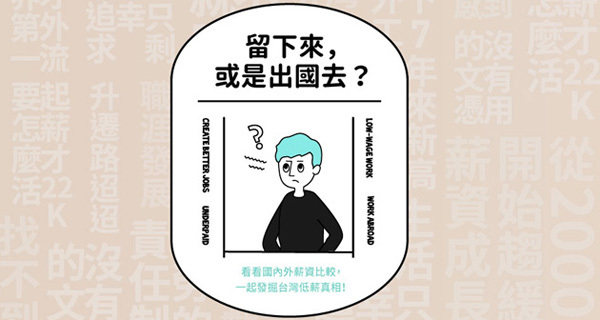 Increasingly, Southeast Asians living in Taiwan and Southeast Asian online celebrities are emerging as the key to social media-based e-commerce. 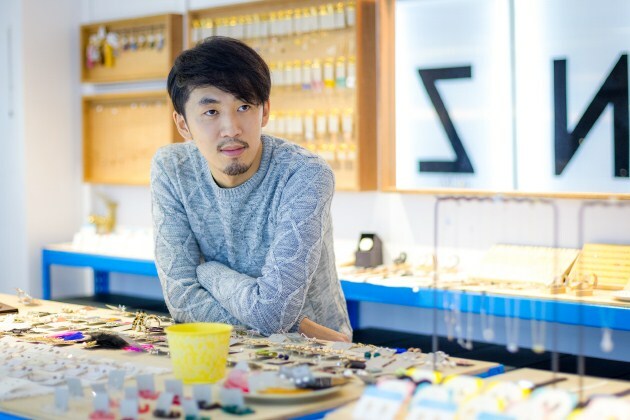 Hsu Yi-chih, a thirtysomething who oversees a small accessories empire with annual sales exceeding NT$100 million in Taiwan, has applied the resilient spirit of a former street vendor to leverage the advantages of Taiwanese quality to break into new markets. 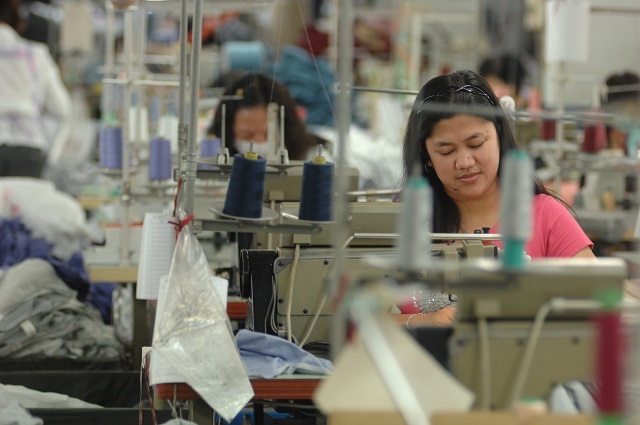 Does ASEAN Still Have a Future in Manufacturing? 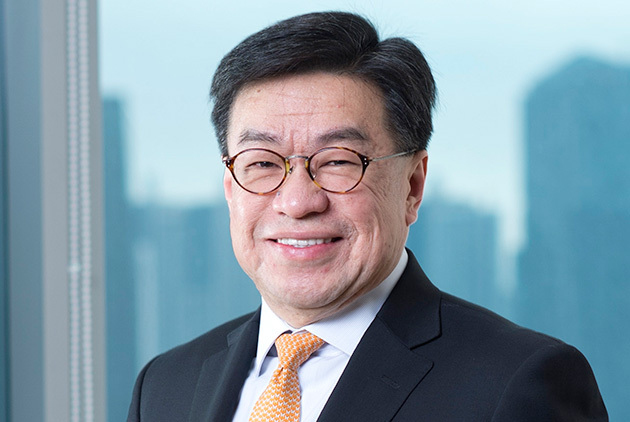 The coming disruption of Industry 4.0, which aims to bring manufacturing back to the developed countries with technological integration, will be one of the key issues for the ASEAN region in the next five decades. How can ASEAN manage the potential impact of the Fourth Industrial Revolution? Is the Japanese concept 'Ikigai' a key to a long, happy and meaningful life? 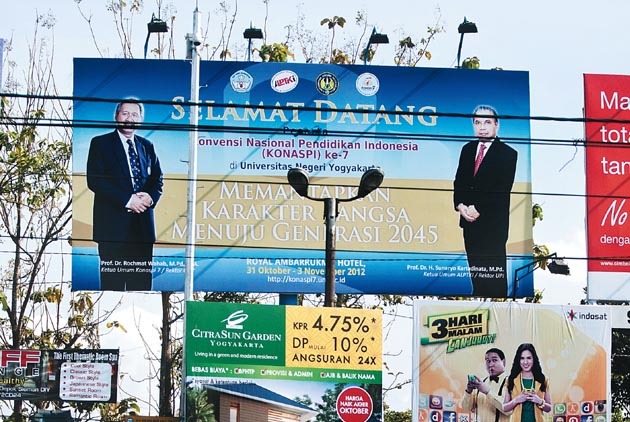 Founded in 1958, Indonesia’s Bank Tabungan Pensiunan Nasional (BTPN) used to serve retired pensioners exclusively. 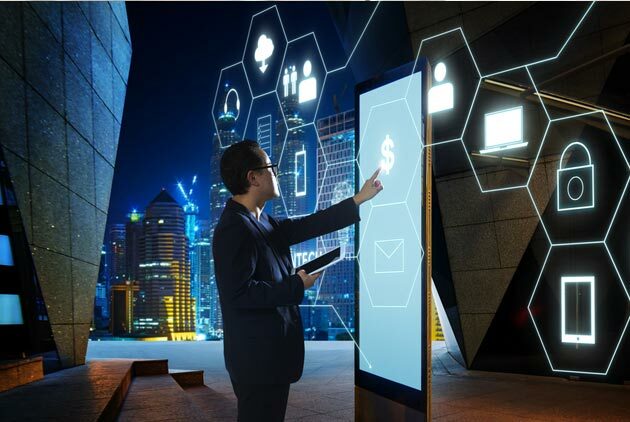 In recent years, the bank has invested heavily in digital transformation, turning mom and pop groceries and small shops into digital branches. Think of the world’s wealthiest cities: New York, Tokyo, Los Angeles and London probably spring to mind. But based on annual gross domestic product (GDP) growth Asian cities – particularly those in India – are powering ahead of other urban economies. 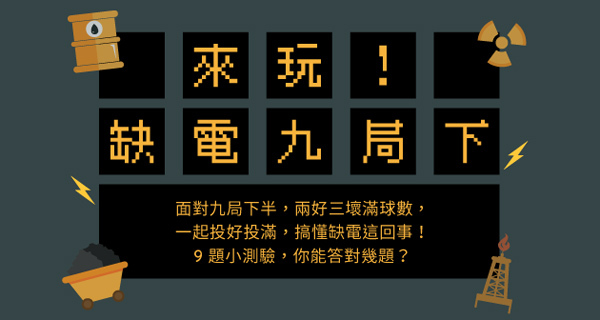 Labor groups in Taiwan have been up in arms recently over the government’s labor policy. And there’s good reason for that, argues professor Hong-zen Wang, who says that workers in Taiwan have even fewer rights than those in less-developed Vietnam. Are You Qualified to Work in Southeast Asia? Southeast Asia, especially Thailand with its openness and thriving economy, is an attractive destination for living and working abroad. But competing in the job market is easier said than done as top talent flocks to the country. 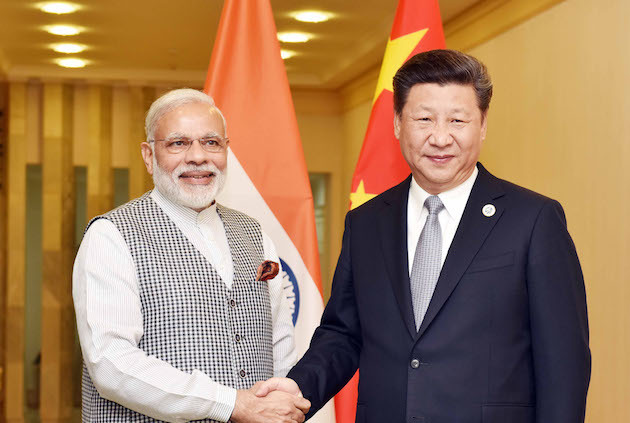 India and China together created approximately 13.5 million jobs last year. The benefit generated by the collaboration of the two countries will surely be significant, but is it possible to achieve? This chart tells you which cities handle the most air traffic of business travelers in the entire world. And Taipei is one of them. 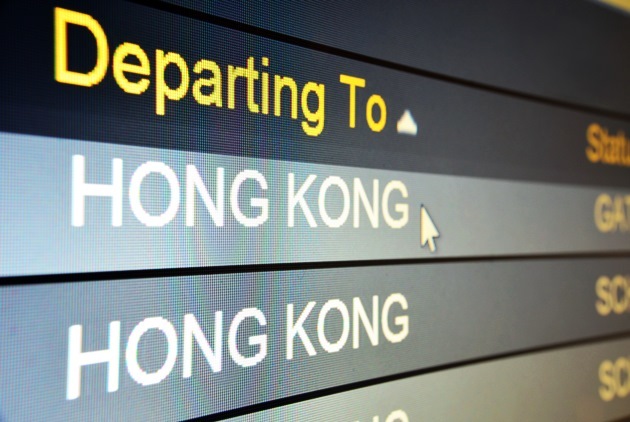 Hong Kong-Taipei, World’s Busiest Airline Route 3 Years In A Row, Why? When it comes to the world's busiest airline routes, you might be thinking of New York to Washington DC or London to Paris. 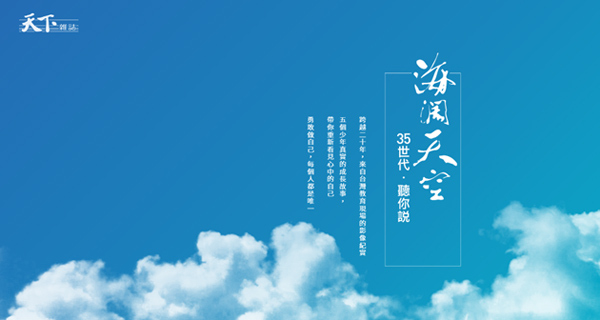 However, it is the Hong Kong-Taipei route that topped the world's list for 3 consecutive years. Here are 3 reasons why. 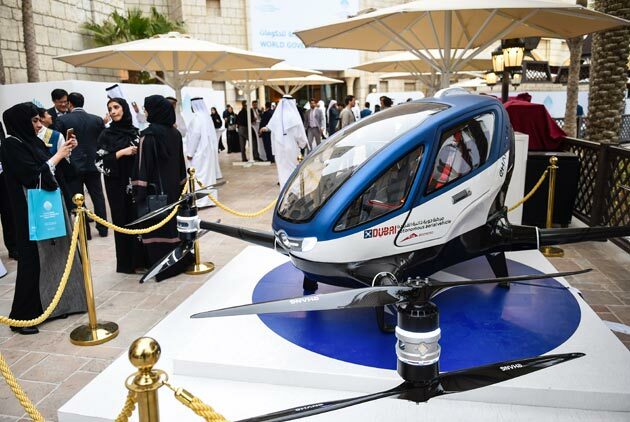 Startups and young entrepreneurs are one of the key factors to improve the state of the Arab world and the future ahead of them can be full of potential. 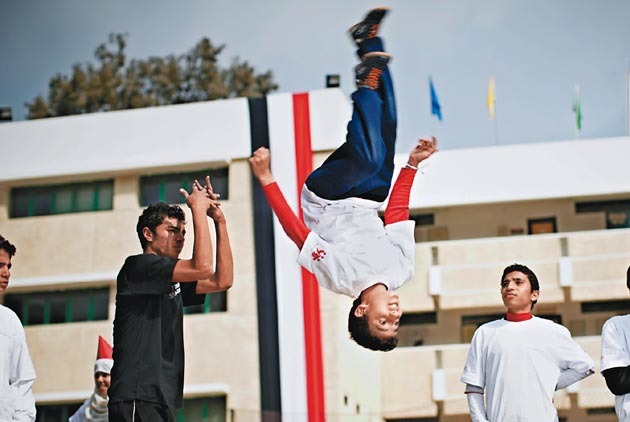 How do they find the way to success amid the region's current geopolitical conflicts? 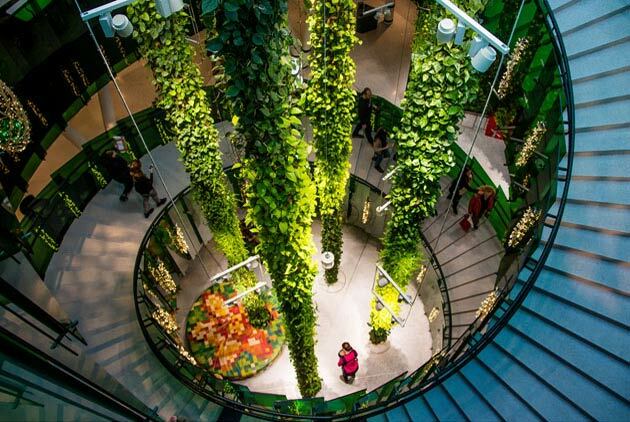 Building Asia's green cities will change more than skylines. It can unlock social mobility, job opportunities and skills development. 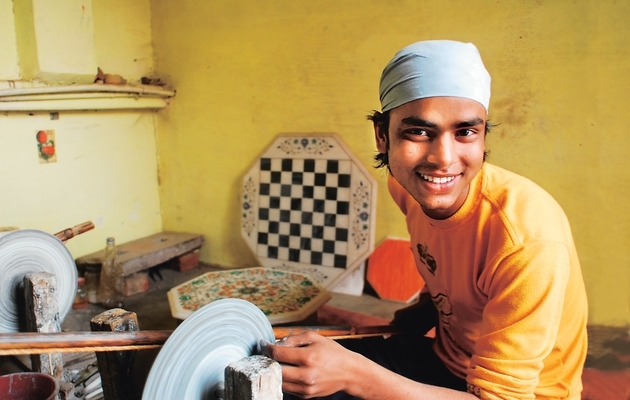 India’s economic success in recent years has helped to ensure that South Asia is the fastest-growing region in the world – but it faces significant challenges alongside its opportunities. Here are eight things you need to know to understand the current state of India’s economy. The key to the ‘Thailand 4.0’ plan is digitalization, with e-commerce participation a critical element of development. 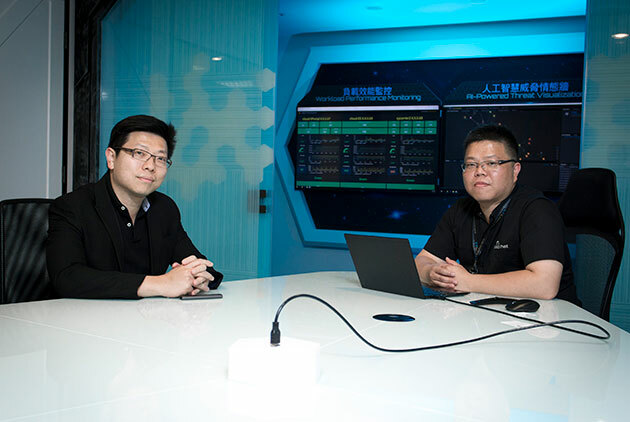 Taiwan-based PChome has set its sights on the opportunities presented by Thailand’s digital transformation. In Southeast Asia, the deafening sound of road construction work reflects the fierce competition among China, Japan and South Korea for lucrative infrastructure projects. 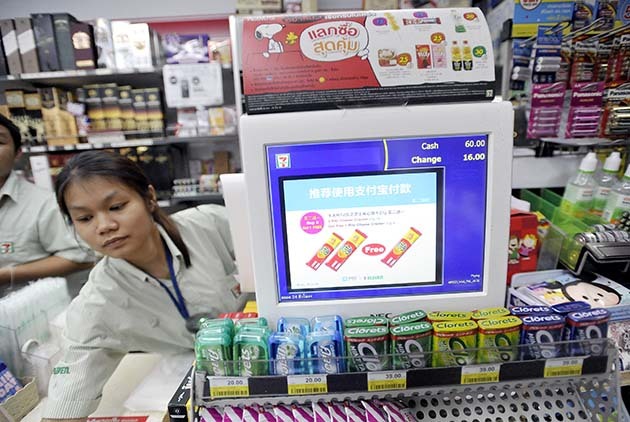 But in stores and shopping malls, the sound of Alipay transactions indicates China’s even-greater ambition to establish its home-grown mobile financial services abroad. 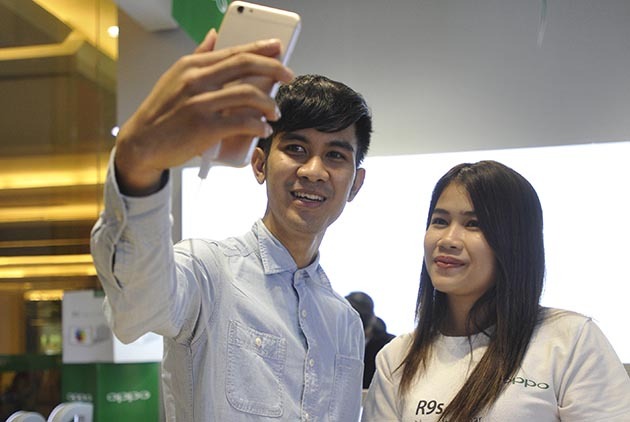 Chinese smartphone brand OPPO is now the second-largest brand in the ASEAN region, having surpassed Apple and trailing only Samsung. 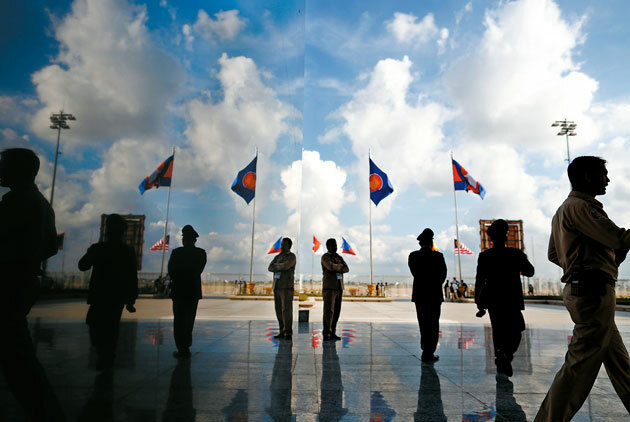 Building strength in Southeast Asia means developing strongholds along the 4,000-kilometer Mekong River. This strategic waterway has become a strategic battleground for China, Japan and South Korea. 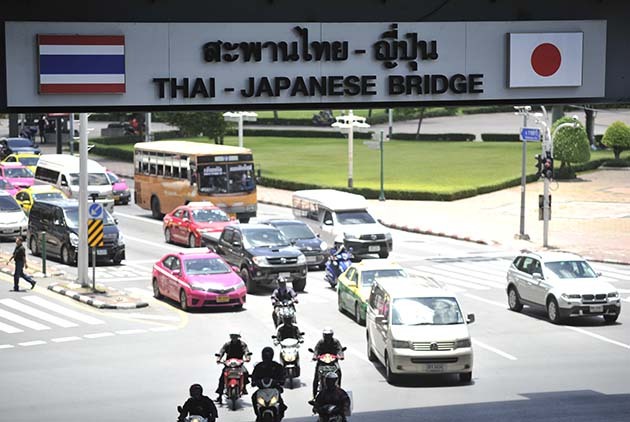 Though Japan, South Korea and China are battling it out for overall economic influence in the Greater Mekong region, Beijing is on the way to winning the fight at the microeconomic level, as these three stories from the Thailand-Laos border show. 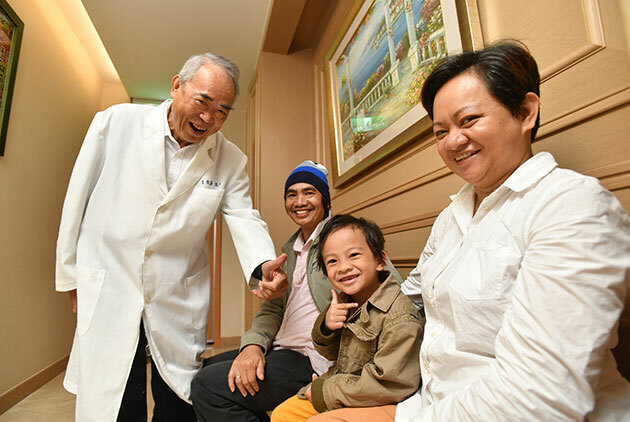 This cloud-based healthcare system, which is set to expand to hospitals throughout Thailand, made it to the ASEAN market after a detour in Africa provided valuable lessons on localization and customization. A Taiwanese leasing company had the highest asset growth of any leasing firm in Vietnam in 2016, topping more established rivals. 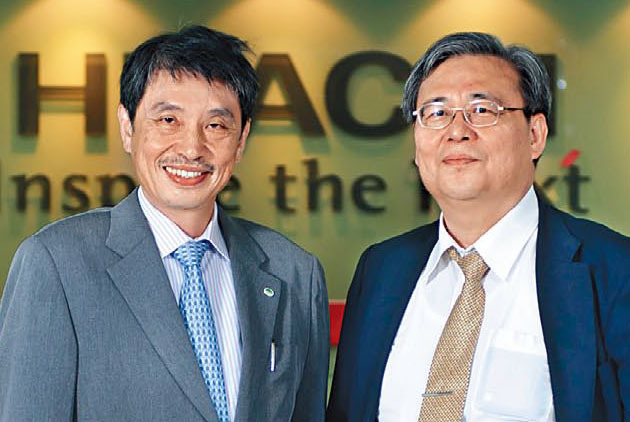 To achieve the feat, it adopted a strategy that could guide other Taiwanese businesses eager to shine in the region. 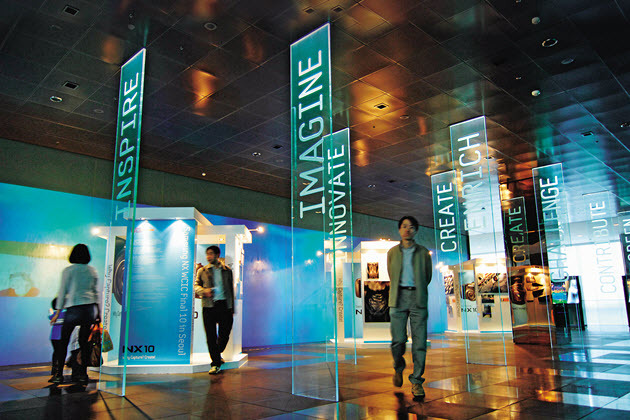 Taiwan’s universities compete with other Asian universities for students from Southeast Asia. Some use scholarships; others their reputation. 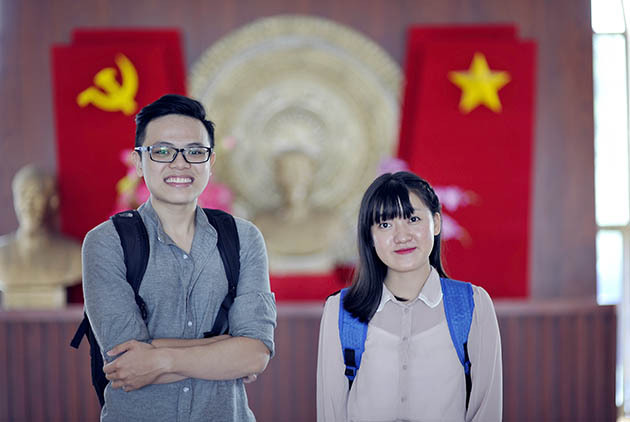 Meiho University possesses neither money nor fame, yet its cooperation program with a Vietnamese university is successfully attracting students. 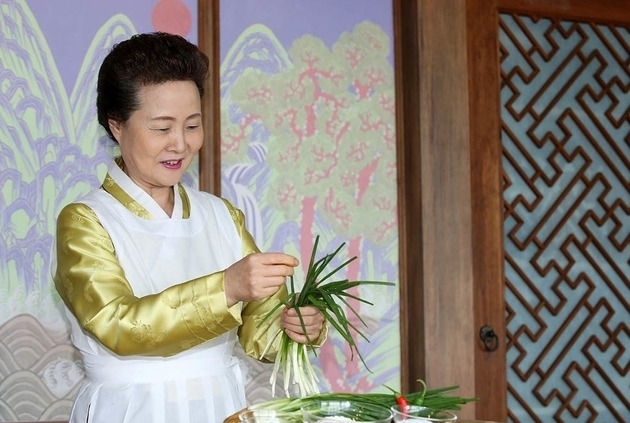 Taiwanese writer Lu Ping, who served for seven years as director of the Kwang Hwa Information and Culture Center, Taiwan's cultural window in Hong Kong, comments on the former British colony’s first female chief executive. Key to Viral Success: "Never give up." Fil-Canadian singer and Internet celebrity Mikey Bustos shared his keys to viral success: "Never give up." 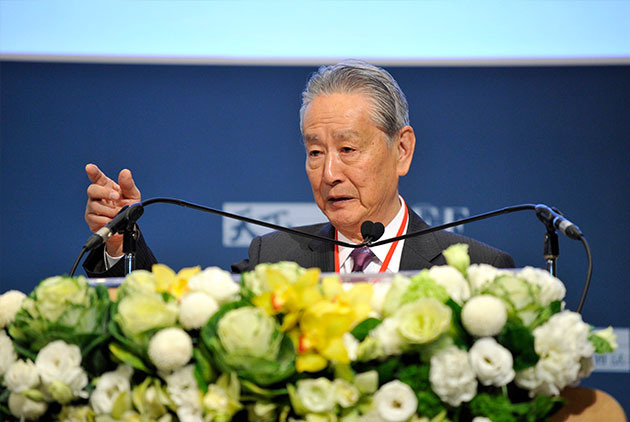 Nobuyuki Idei, Founder and CEO of Quantum Leaps and former Chairman of Sony Corporation, gives an opening speech in 2017 CommonWealth Economic Forum (CWEF). China and the United States are battling for influence in Southeast Asia and the South China Sea. 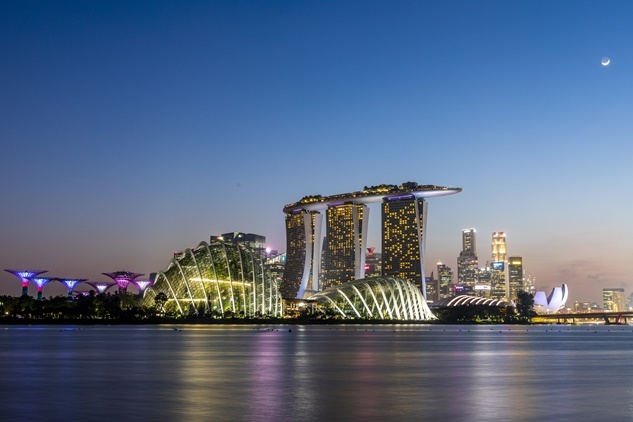 Sandwiched between the two, Singapore has kept its distance from both superpowers while fighting to stay competitive amid external threats. 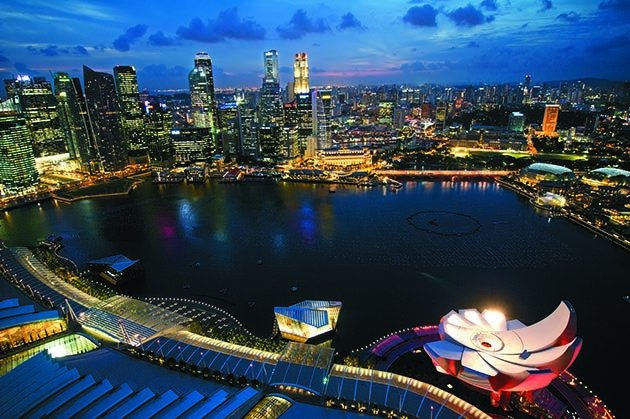 Singapore’s strong economy and social stability have fuel the city-state’s rise as ASEAN’s most advanced country. 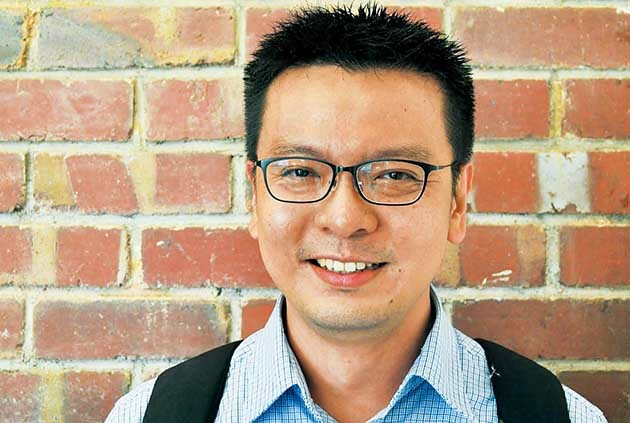 But as activist and sociologist Daniel Goh explains, political liberalization is now needed to deliver the innovation economy Singapore wants. Fair trade starts at the source. 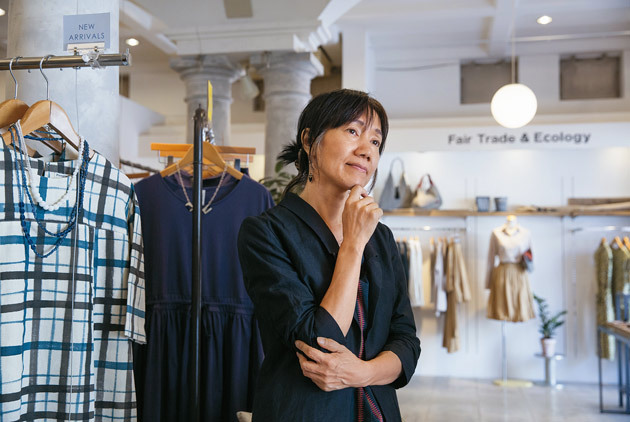 That’s why the Japan-born fair trade label People Tree set out to transform the fashion supply chain, making Japanese society realize that buying organic, fairly traded garments brings more joy than pursuing the latest fashion craze. 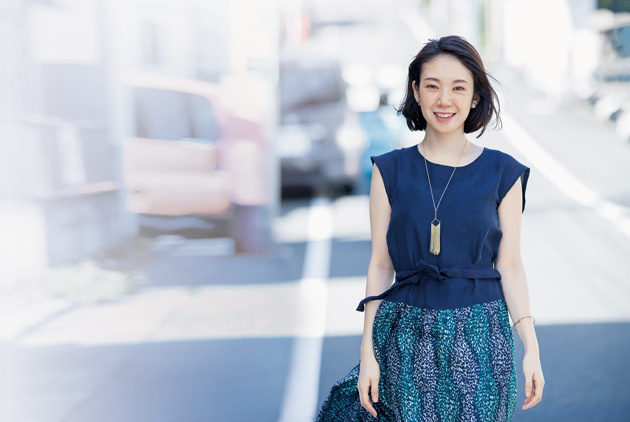 Instead of chasing short-lived western trends, Japanese consumers are seeking a better quality lifestyle rooted in local culture. 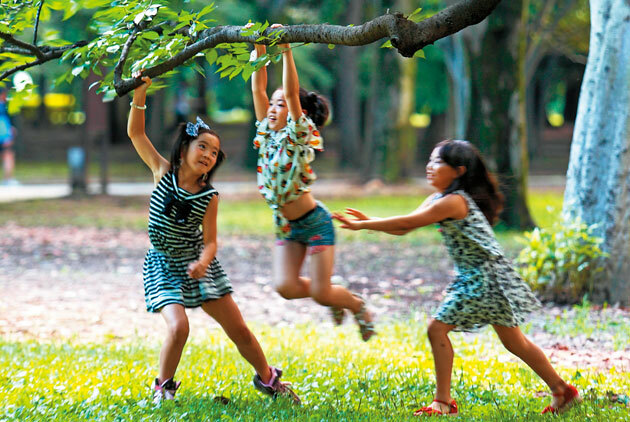 In the wake of the devastating earthquake and tsunami of March 2011 and amid a prolonged recession, the Japanese have rediscovered the virtue of slowing down and returning to the basics. 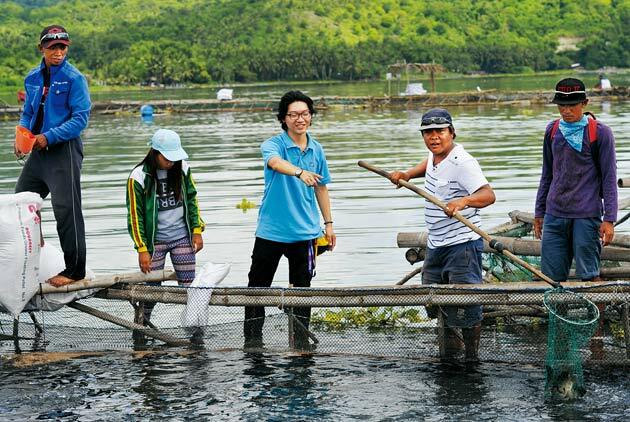 Instead of looking for a job in Taiwan upon graduation, Justin Lee, a nutritionist by training, sought a more adventurous life in the Philippines to sell aquaculture feeds. 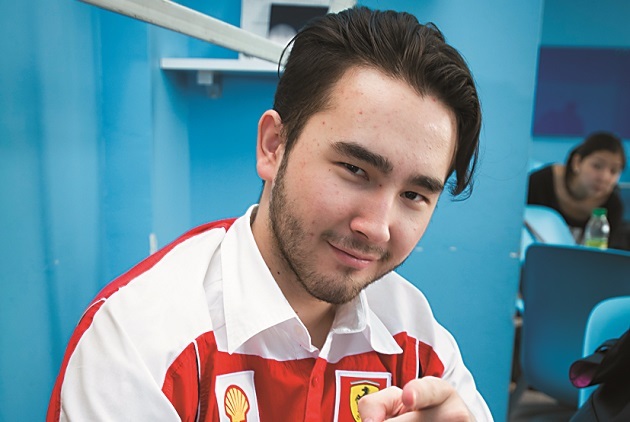 Banker Alex Soung, who has worked and lived in Vietnam for 12 years, has used his language skills to become a sought-after foreign expert in the local banking industry. 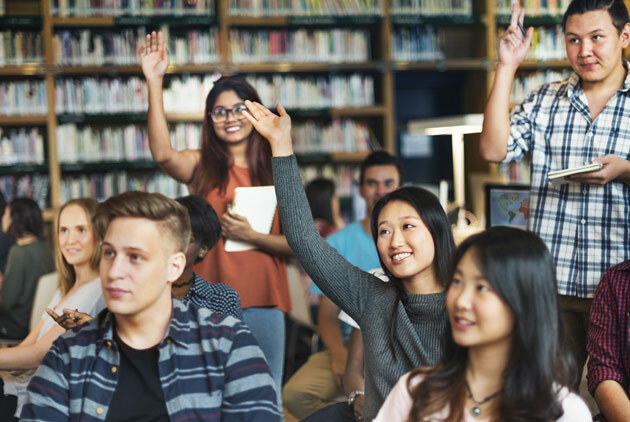 Southeast Asia has rarely been considered by Taiwanese students as a place to get a degree or learn a skill, but many of them are finding out that studying there can open a wealth of opportunities and contacts. Three of them tell CommonWealth about their experiences. Audrey Tang will soon become Taiwan’s youngest Cabinet minister when she starts as minister without portfolio on Oct. 1 to lead open government initiatives. Describing herself as a “connector,” she is uniquely qualified to play this role. Here’s her story. 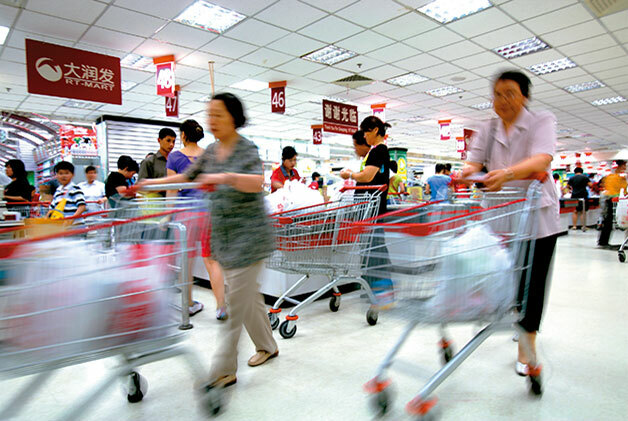 As Chinese consumers develop a taste for the better life, Taiwanese manufacturers, who used to dominate China’s domestic market, are now being forced to transform themselves. 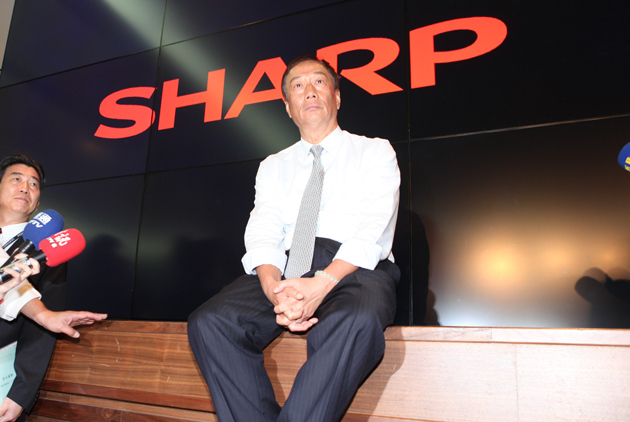 Hon Hai Precision Industry, the world’s biggest contract electronics manufacturer, is close to acquiring Sharp of Japan. What is behind Hon Hai’s willingness to risk it all financially to take over the venerated but money-losing Japanese electronics giant? 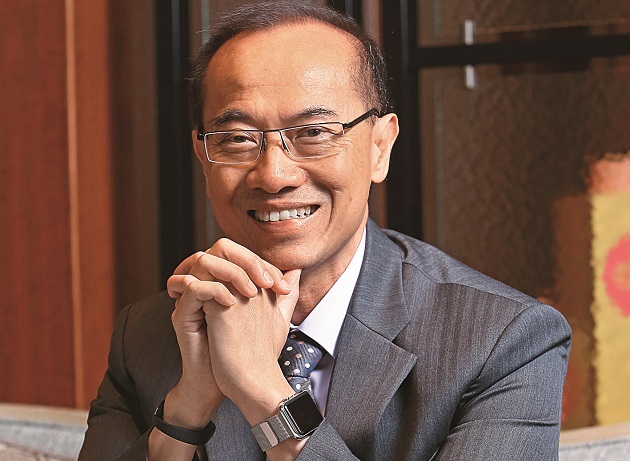 Former Singapore foreign Minister George Yeo talks about Singapore’s history, the challenge of national identity, and why it is important to learn from young people. 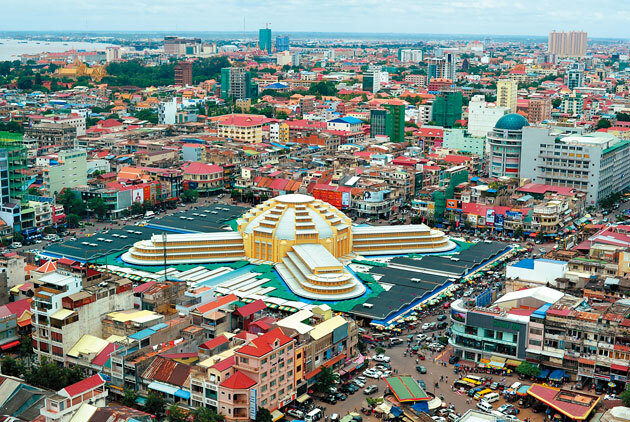 Investment in Cambodia from Taiwan, Japan, China and Korea has poured into Phnom Penh real estate market, chasing after returns of more than 7 percent. 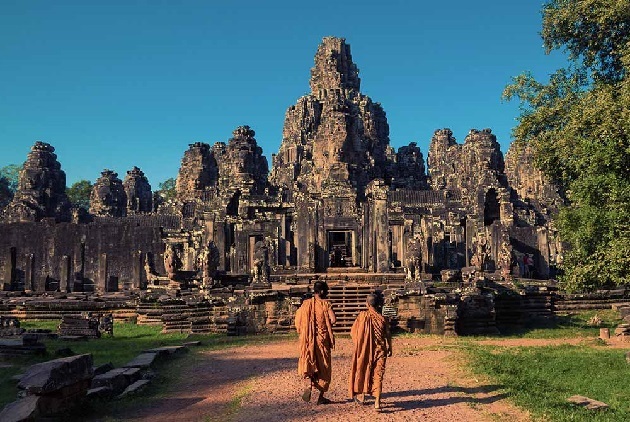 But while Cambodia may resemble a speculator’s paradise, would-be investors should tread carefully. 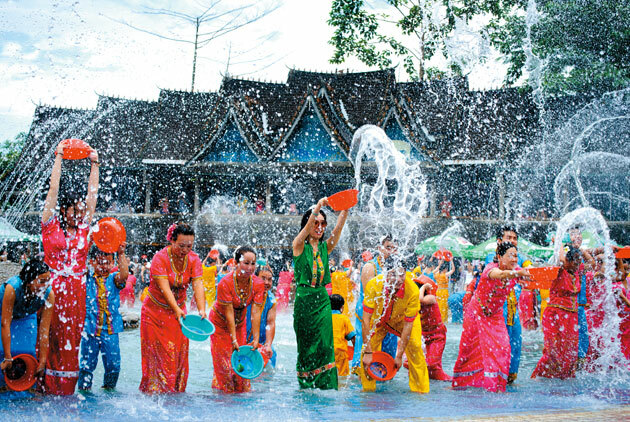 Five years ago when Myanmar opened its doors, optimism prevailed. 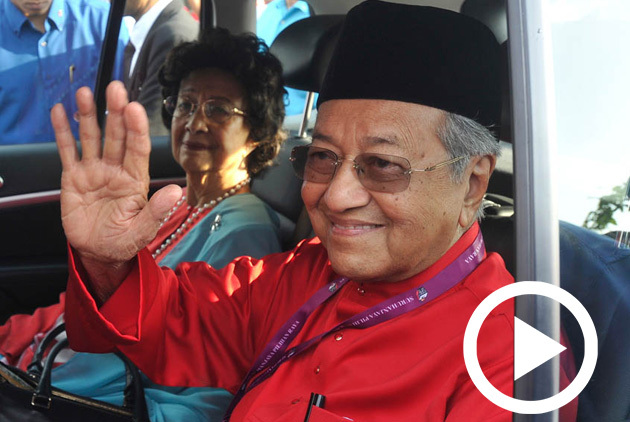 Now, ahead of the country’s first real democratic elections, the mood has turned cautious. 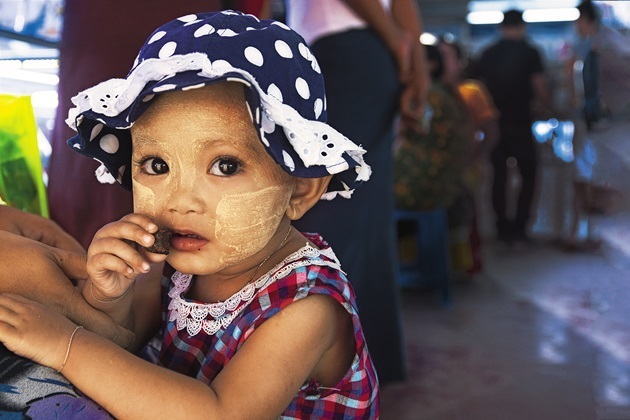 Seven professionals there look at where Myanmar has been and where it’s going. Indonesian President Joko “Jokowi” Widodo heads the largest archipelago in the world. The country’s vast ocean area, dotted with thousands of islands, is an asset but also often hampers development. 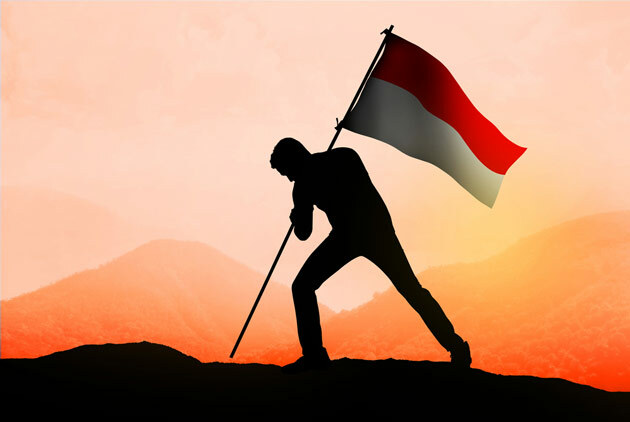 Jokowi, the country’s first president without ties to the political elite or the military establishment, is determined to turn Indonesia into a maritime power. The Taiwanese company DDK Group, one of the world’s 10 biggest manufacturers of high-end bicycle saddles, lost its entire 18,000 square meter facility in anti-Chinese riots in Vietnam last May. Yet, despite the outrage and devastating losses, it has decided to stay. Why? 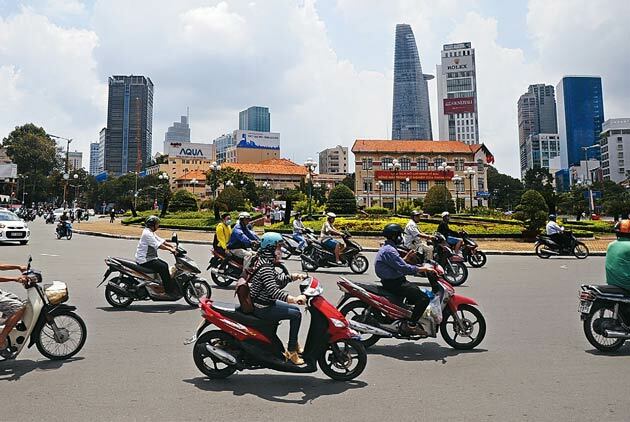 Vietnam has aggressively engaged in economic reforms and liberalization to prepare for its membership in the Trans-Pacific Partnership and move its economy up the value chain. 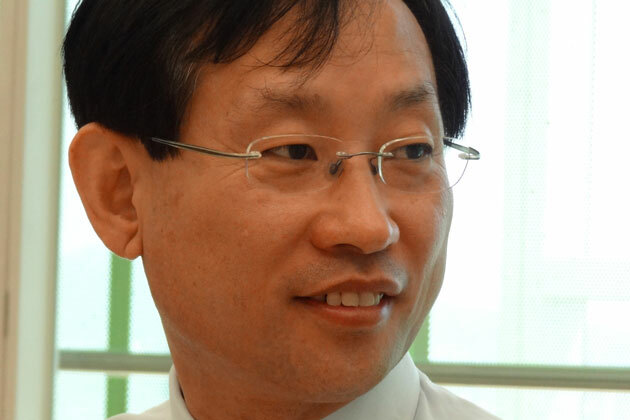 What new opportunities does that offer Taiwanese businesses? 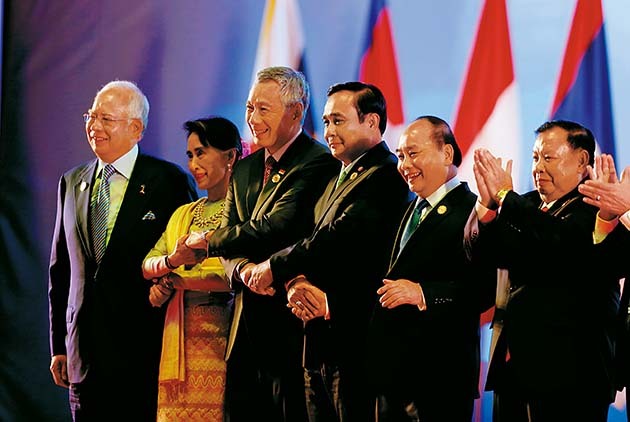 2015 was supposed to mark the completion of the ASEAN Economic Community (AEC). 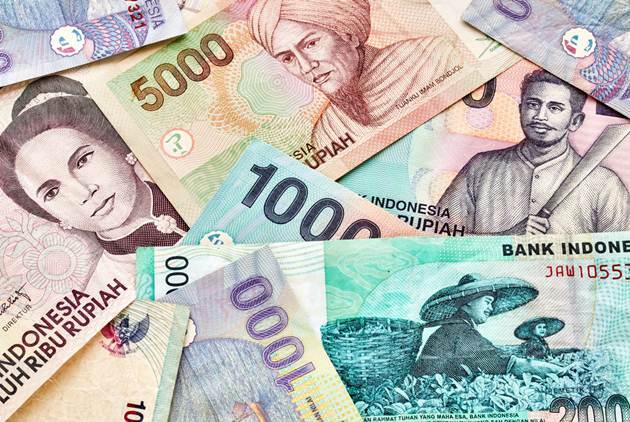 Instead, the ten members of the Association of Southeast Asian Nations (ASEAN) are facing their toughest challenge in two decades as weakening national currencies and dropping raw material prices jeopardize ASEAN’s economic take-off. One out of every 40 people in Taiwan today is a migrant laborer from Southeast Asia. Now a "migrant workers' business school” founded by Taiwanese youths aims to help them realize their dreams. In this year's Greater China Top 1000 Survey, new names have taken the top spots in growth, EPS and profits, and China's new economy upstarts have dislodged the old guard. Kazakhstan, the largest country in Central Asia and a predominantly Muslim nation sandwiched between Europe, Russia and China, has unveiled an economic policy to overhaul the country's transport infrastructure in the face of China's One Belt, One Road initiative. You may never have heard how good it is, because French people in the know keep it secret. 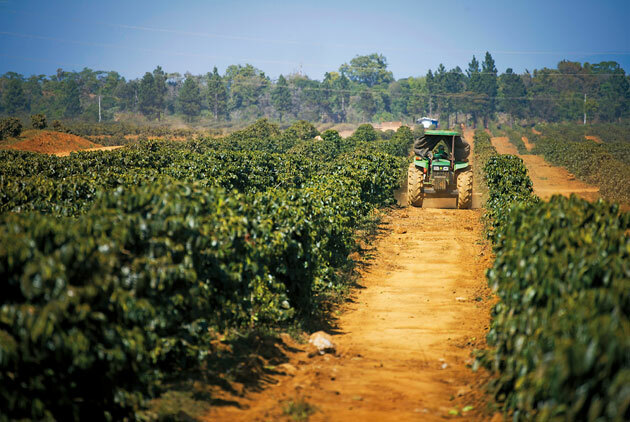 Grown in tiny quantities, yet ranking among the world's finest in quality, Laotian coffee is a heavenly brew. As more people in Asia enjoy drinking coffee, the region has become No. 1 worldwide in the consumption of the 'blackgold,' surpassing Europe and the United States. 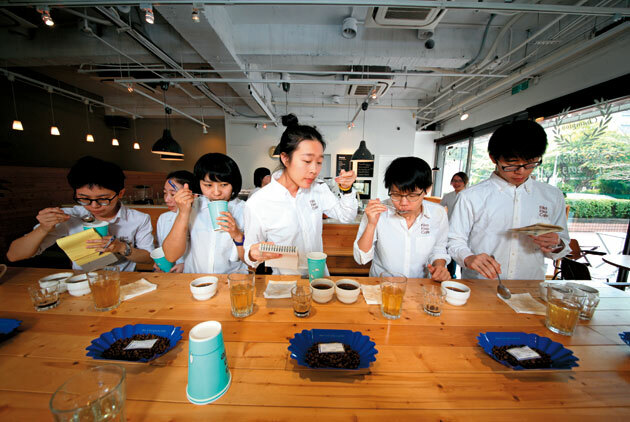 Taiwan produces relative few coffee beans, but it is a prime destination when Asians want to open cafés, roast good coffee, or grow premium beans. 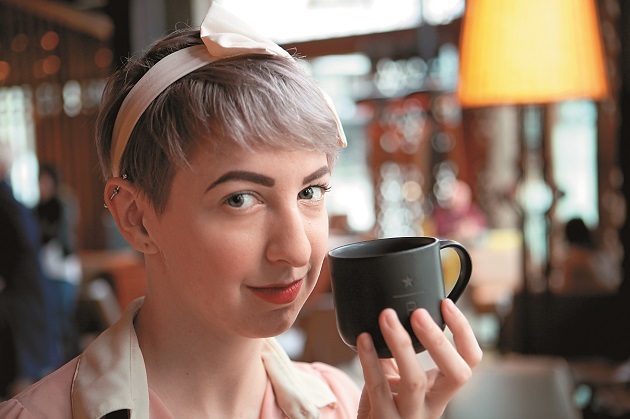 How has Taiwan gained renown as a premium coffee hub in such a short time? 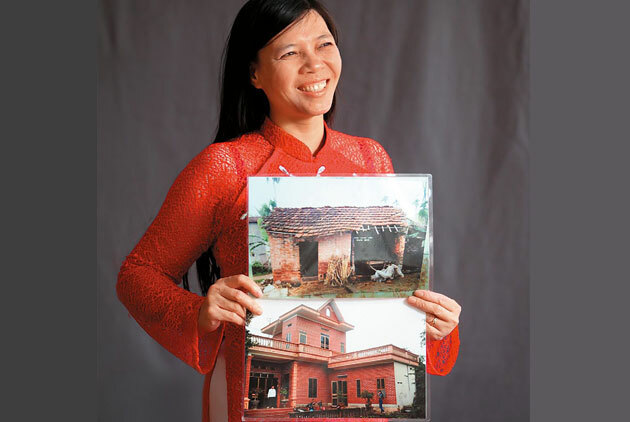 Dang thi phuong lan, who is preparing to return to her native Vietnam after working for the same family for eleven years, recalls the highs and lows of her time in Taiwan, and how she came to see it as her home away from home. Lai Lixia, one of many Chinese women who have made their homes in Taiwan, has found comfort and happiness in her close-knit family even if she is not always fully accepted by others. In a large corporation you can make use of helpers as long as you delegate authority, but no one can take my place as a father and grandfather – there's nowhere to outsource this task. For many, the changing face of Taiwan's families can make family reunions over the Lunar New Year holiday difficult. But in this changing world, it may be finally time to let go of entrenched beliefs and accept people for who they are. 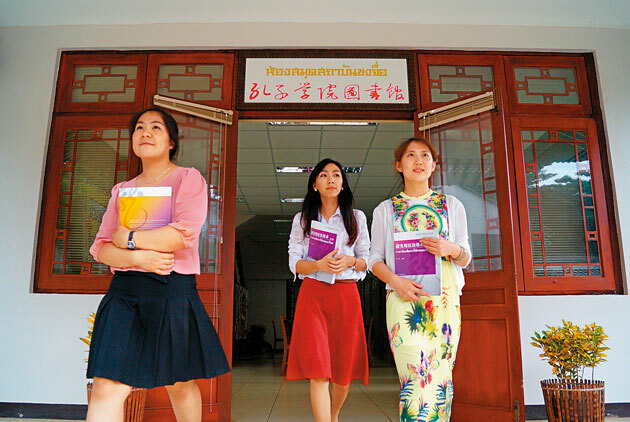 It may not come right to mind, but the quickest route to finding skilled personnel to take on the ASEAN region is Yunnan, the one-stop shop for Southeast Asian language experts. Cambodia only awakened from its nightmare under the Khmer Rouge 30 years ago, but prices in Phnom Penh are already higher than in Taipei. 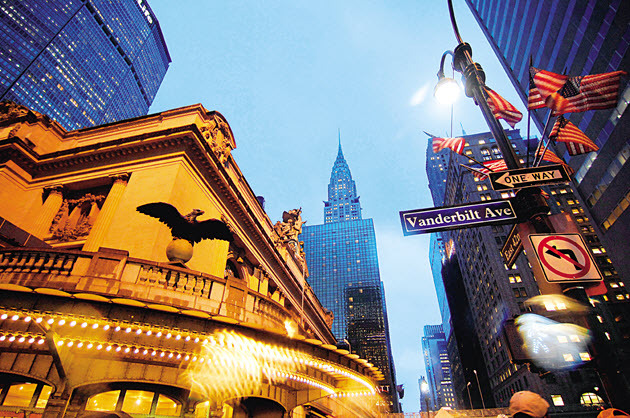 Open to any kind of foreign investment, the city has become an adventurer's haven full of opportunities. 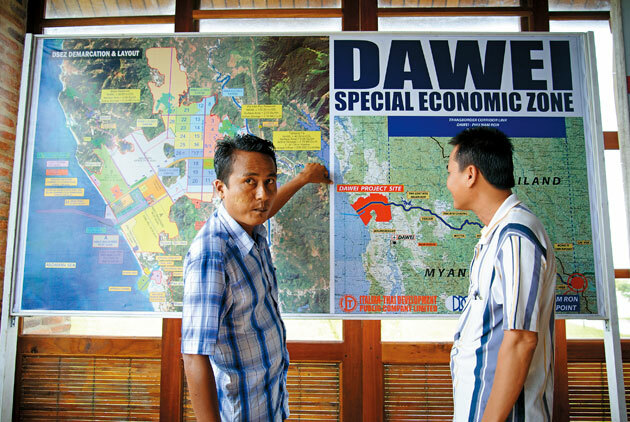 The ambitious Dawei Special Economic Zone hopes to become Asia's biggest deep-sea port. Once it's completed, the distance between Bangkok and the Indian Ocean will be 90 percent shorter. 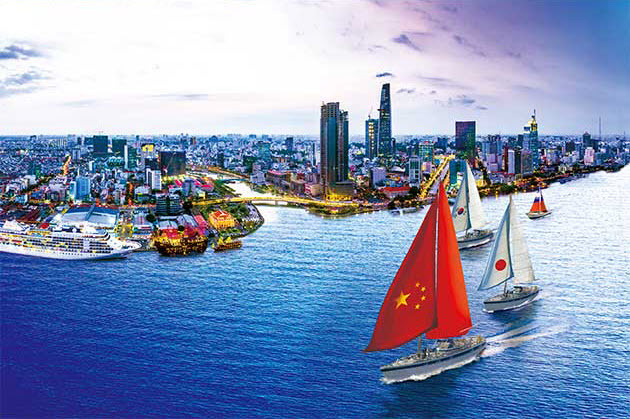 Railroads, highways, waterways and sea lanes linking China and the northern ASEAN region pass through regional hub Bangkok. 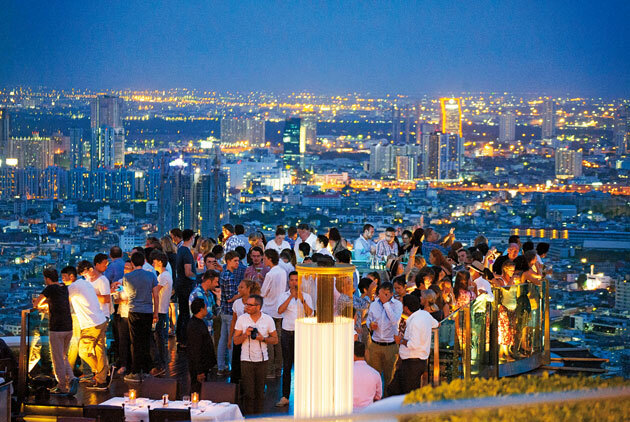 Betting on the Thai capital appears to be a smart move for anyone who wants to invest in the region. 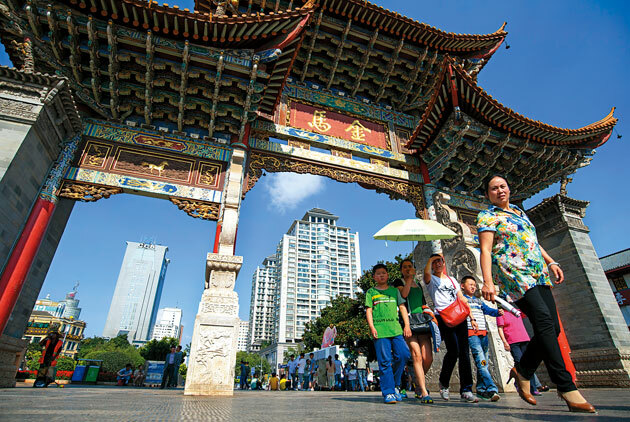 The city of Kunming, located deep in China far from any coast, shares many ethnic, linguistic and cultural characteristics in common with Southeast Asia. 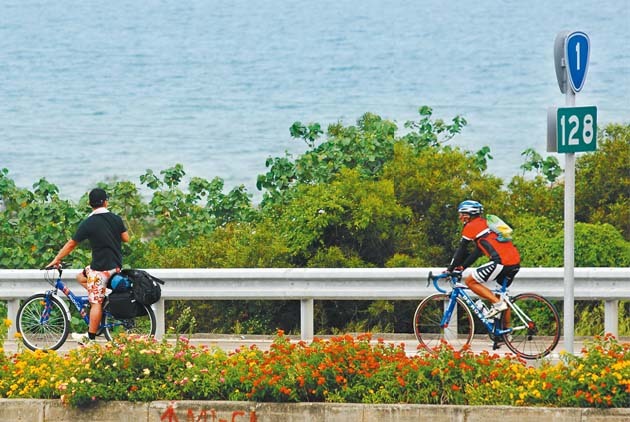 The completion of major transportation infrastructure projects has transformed the city into a strategic center for making inroads into the ASEAN region. Strategically located between China and South Asia, the northern countries of ASEAN are planning a massive infrastructure binge with China's help that will change the face of trade in Asia. 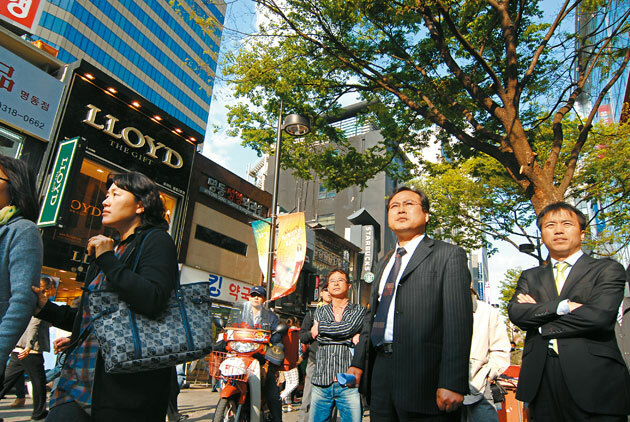 Population decline is debilitating Japan’s local economies. But is economic growth the only way? Over the past decade an emphasis on interpersonal interaction, community development and happiness has gained rapid currency. 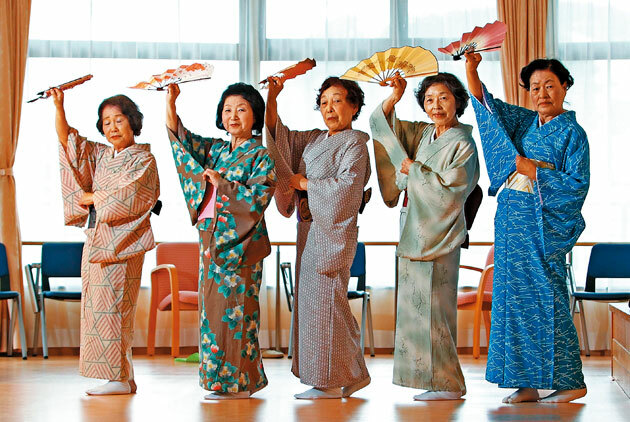 As Japan looks forward to becoming a hyper-aging society, the government has begun encouraging the elderly to "live out their years at home," integrating medical treatment and long-term care to forge environments preferable to old age homes. 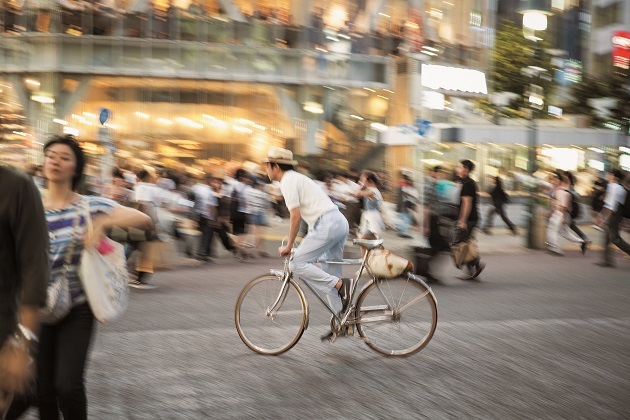 Japan's population is on the decline, with potentially disastrous consequences for the economy. 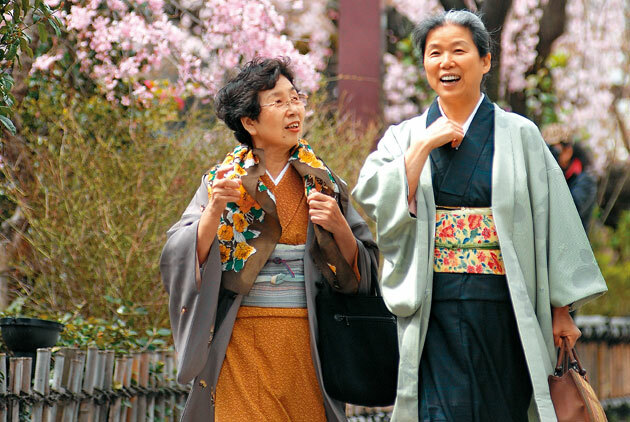 Tokyo has responded with a population policy for the first time in 70 years that will put women and seniors in the spotlight. In Israel, military service is more important than education. 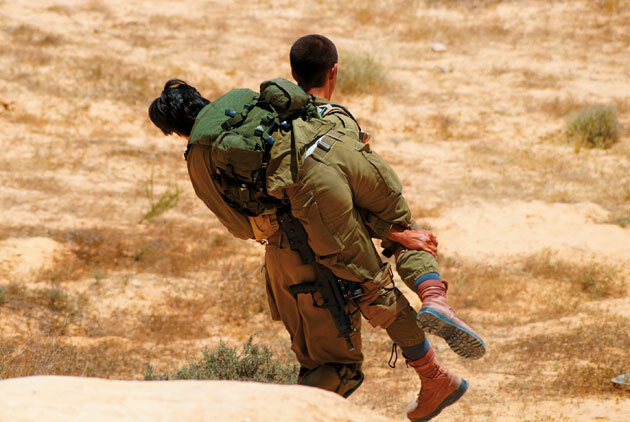 During training, Israelis learn to lift up their comrades, take on responsibility, and hone the problem-solving skills they will use for the rest of their lives. Israel may be a hot investment destination, but Taiwan has been late in joining the bandwagon. 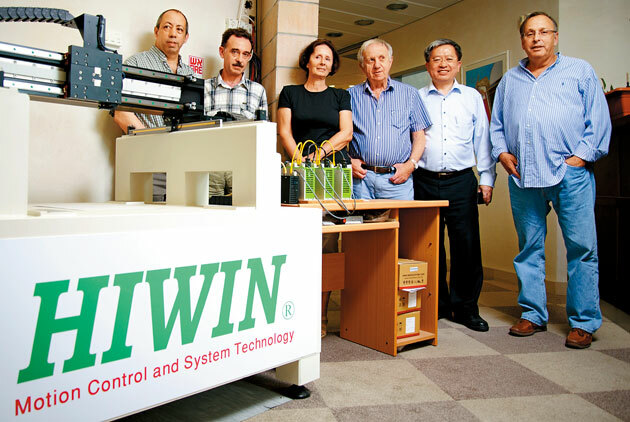 Two Taiwanese companies active in Israel share three secrets for working with Israeli companies. Why was Google willing to spend US$1.5 billion on a tiny five year-old Israeli startup? Why did Intel locate its largest overseas R&D center in Israel? 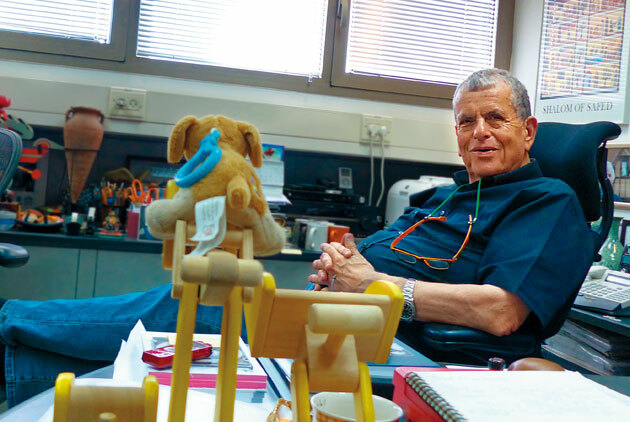 The answer is simple: Israelis have little to offer, except their smarts. 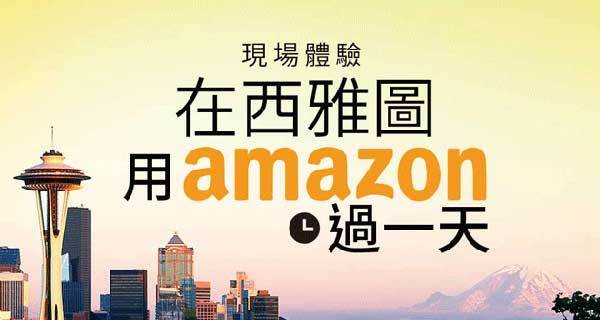 This year's CommonWealth Magazine Greater China Top 1000 Survey found that the competitiveness of Taiwan's companies continues to erode while Chinese e-commerce giants have remained on the ascendance. 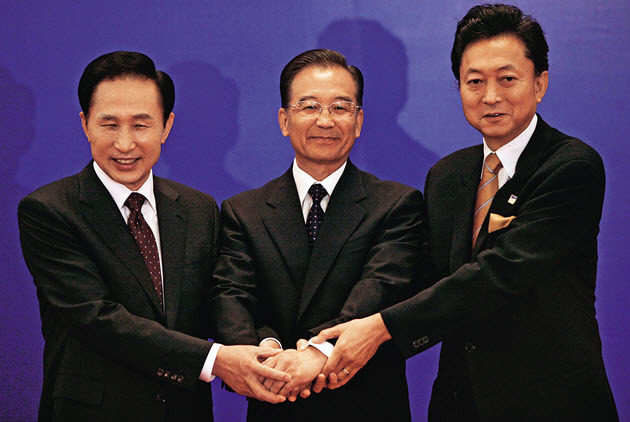 South Korea has a strong infrastructure in place for negotiating and carrying out FTAs, but it wasn't always that way. 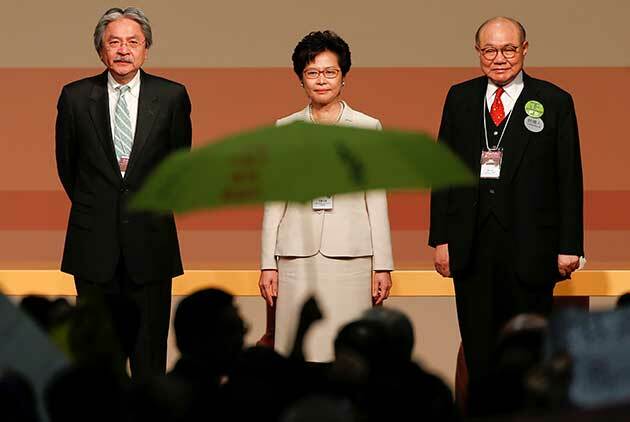 The lessons gained over the past 20 years offer plenty for Taiwan to think about. With a vast network of free trade agreements, South Korea's trade volume has surpassed Taiwan's by leaps and bounds. Yet its society is polarized by a widening wealth gap. What lessons can Taiwan learn? Indonesia: Fierce Tiger or Sick Cat? Once touted as a BRIC country, Indonesia is now a member of the "Fragile Five," its economic weaknesses exposed by the retreat of hot money. What are the prospects for this country in transition? 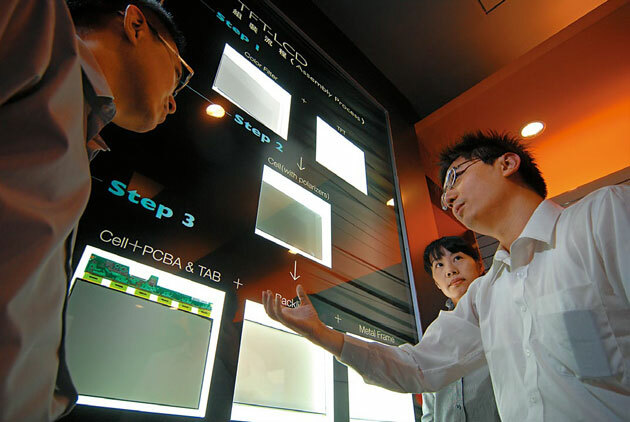 Chinese and South Korean display makers will soon launch eight production lines for large-size TV screens in China. 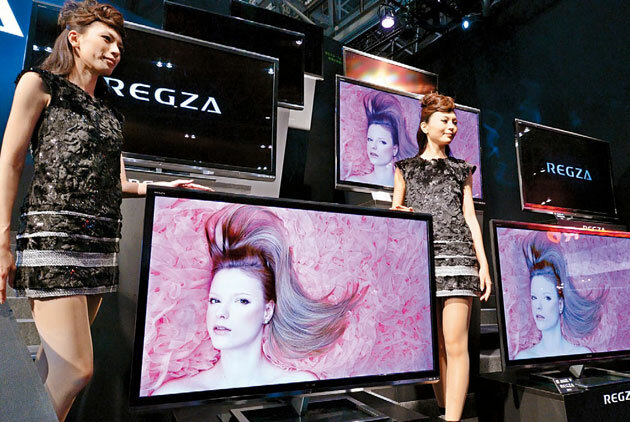 How can Taiwan's leading makers of LCD TV panels survive this offensive? What are their counterstrategies? 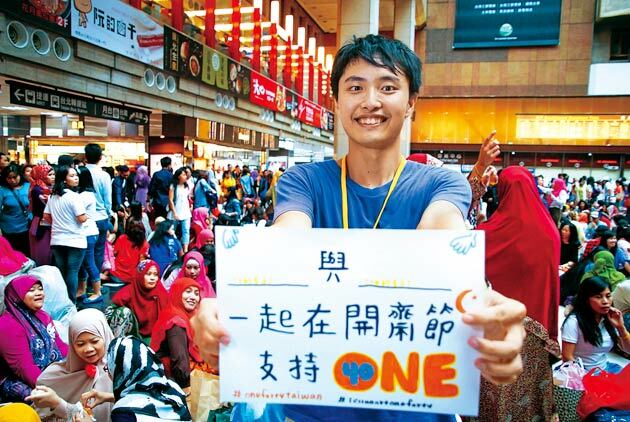 Why would young Taiwanese want to work in Singapore as low-skilled migrant workers? Why would they still want to go even if they are exploited and treated badly? These are simply not the worst of times for Taiwan – thanks to the many people rolling up their sleeves, taking responsibility, breaking new ground, dedicating themselves, and making a difference. South Korea has upstaged Japan economically in recent years, leaving Japanese companies feeling isolated and imbued with a sense of crisis. They are counting on Asia to get back in the game. 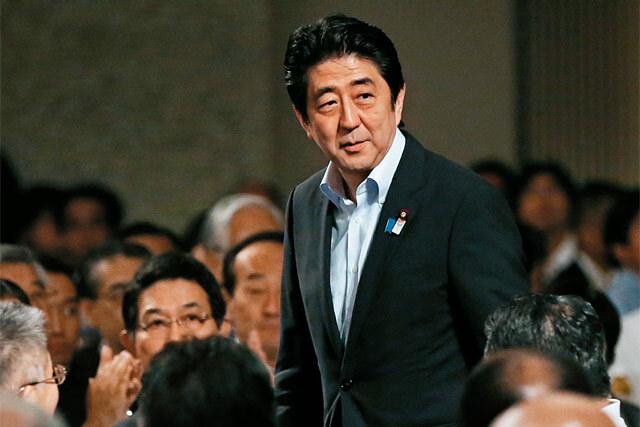 After six years in the political wilderness following a failed first stint as prime minister, Shinzo Abe is back, and so is Japan. CommonWealth Magazine takes an in-depth look at the keys to the two closely linked revivals. 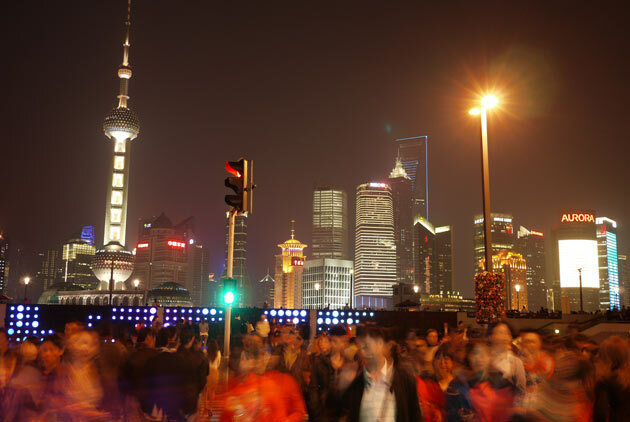 China boasts 10 times more resources than Taiwan, and 100 times the limelight. 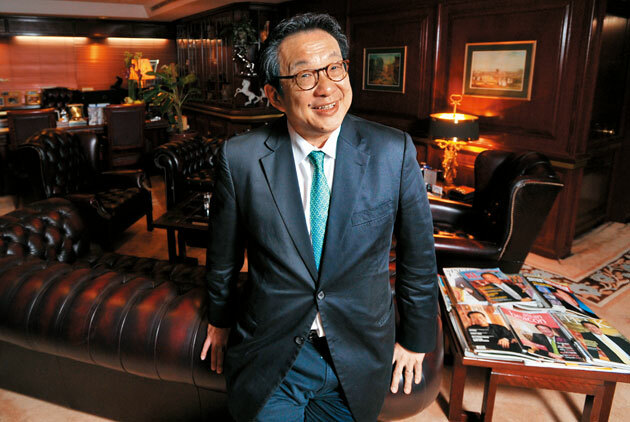 But once a Taiwanese exec has made the move to China, they often find no way back. 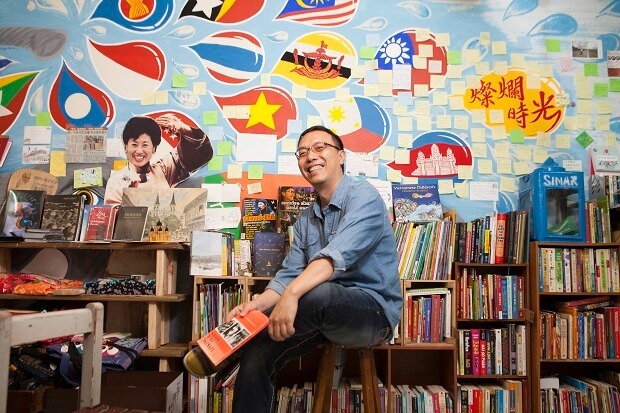 How can Taiwan retain its native talent? Bucking trends, Taiwan's financial sector has surged to its highest profitability since the global financial crisis, largely driven by opportunities farther afield, in China and Asean. 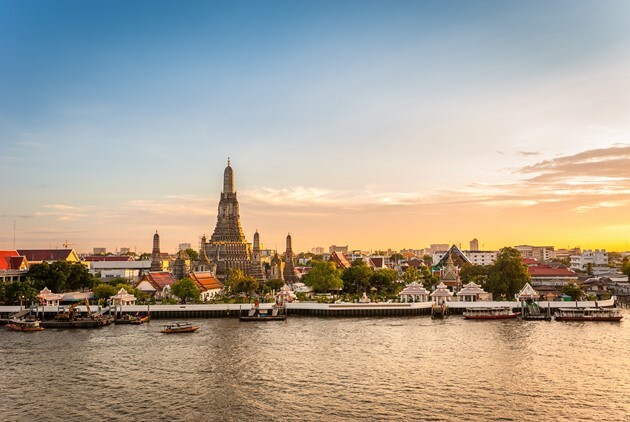 Southeast Asia now stands as the world's most promising market, and the brightest jewels in the crown are up-and-comers Thailand and Malaysia. Property, equities, bonds, currencies... the bull is roaming the markets of Southeast Asia, and ASEAN has taken the place of the U.S. and Europe in the hearts of Taiwanese investors. 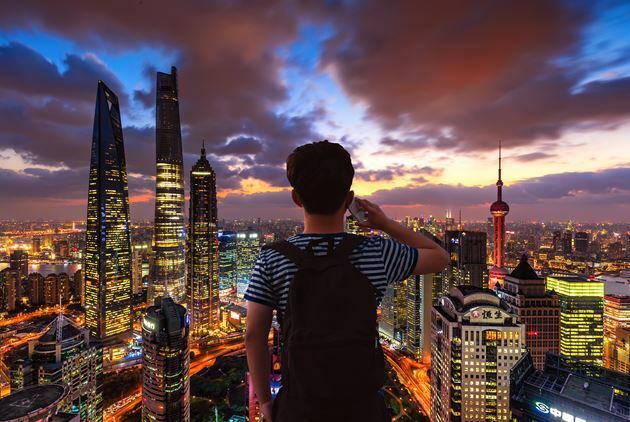 More than the center of the world's economy, Asia is the future, a stage on which a new generation of adaptable, connected and resilient Asians are living out their dreams. 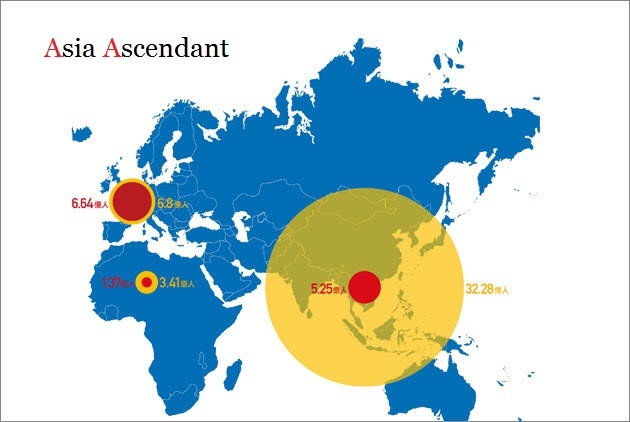 On the strength of its talent, opportunities, investment and new wealth, Asia is eclipsing the Eurozone and U.S., as a potential middle class of 3.2 billion reshapes the region as the world's biggest market. The orange and white CoCo Fresh Drinks sign has gone up in a thousand locations worldwide. The strength of its brand and personnel management is even enticing entrepreneurs in Singapore, South Korea and Russia. 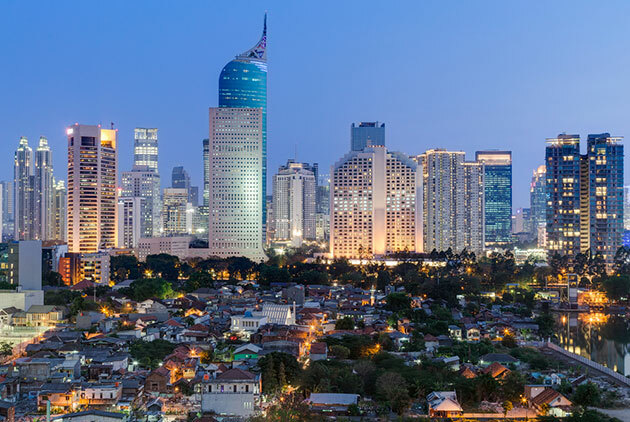 Indonesia is one of the world's fastest growing emerging markets and the place where Taiwan's high-tech companies are looking to drive future growth. What makes them so upbeat? They are the neighbors, helpers and family members of the Taiwanese, yet to many they remain strangers. The single largest group of foreign nationals in Taiwan, Indonesians face many challenges fitting in. Nine out of ten smartphones in Taiwan are fitted with its Line app. It has left Google to starve in South Korea, and captured the hearts of Japanese gamers. What was Samsung thinking when it let this online juggernaut go? Once a poor second cousin to Taiwan, South Korea now exports twice as much as Taiwan. Why has Taiwan fallen behind, and what have been the costs of South Korea's rise? 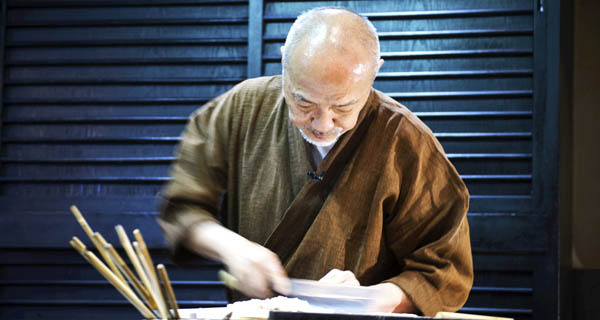 As the unrivaled center of traditional Japanese arts and crafts, Kanazawa invests massively in training artisans, and is committed to creating an environment where all residents can explore their artistic potential. 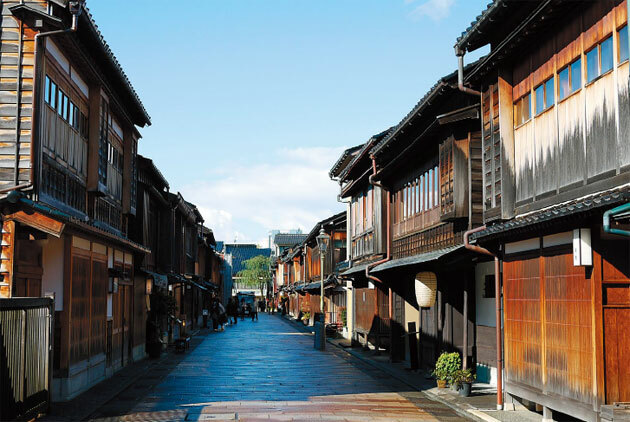 Founded 400 years ago as a cultural center, Kanazawa boasts a rich artistic heritage, which it lavishes with love, labor and generous investments. How is this city breathing new life into its creative and cultural industries? Among this year's highest ranking corporate citizens stands a decades-old member of a distinctly conventional industry – air conditioning. 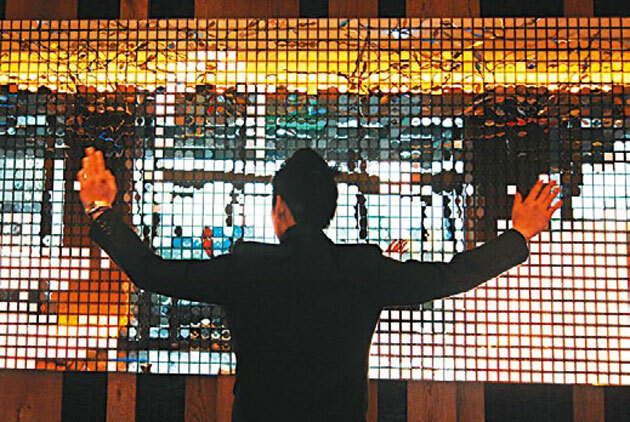 In the 1990s, the Regent and Grand Hyatt dominated Taipei’s luxury hotel market, but times are finally changing as new five-star hotels pour into the city. The question is, why? In Bangladesh thousands of children drown every year in monsoon floods. But one Olympic legacy program is teach youngsters to swim, and to save themselves when swelling rivers inundate their homes. 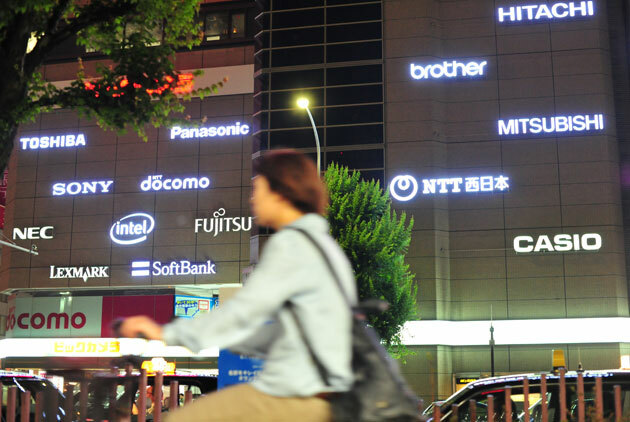 From world-beater to faded glory, Japan's home electronics industry has come to an existential crossroads, and like fallen nobility maintains its sleek, shiny exterior, awaiting some nebulous shot at a future comeback. Nearly a year has passed since the Great Tohoku Earthquake. 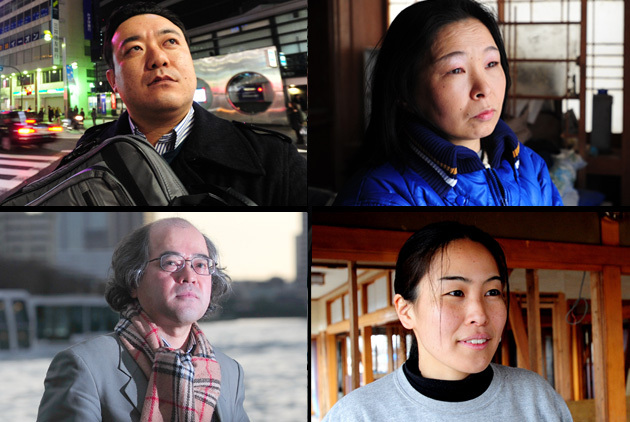 Through the eyes of a housewife, an engineer, a reporter and a volunteer worker, we look at how the lives of the Japanese have changed, the fears they face, and the lessons they have learned. 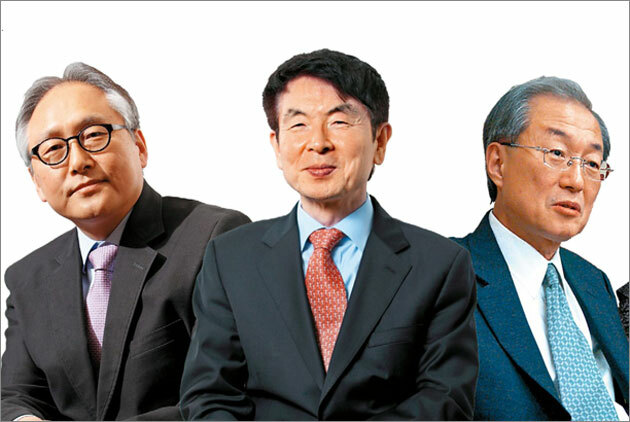 The Four Little Dragons of East Asia have grown up. From centers of contract manufacturing, they have metamorphosed into centers of finance and trade – the "NIE-4" of Asia. But how can they parlay their wealth into equity and happiness? 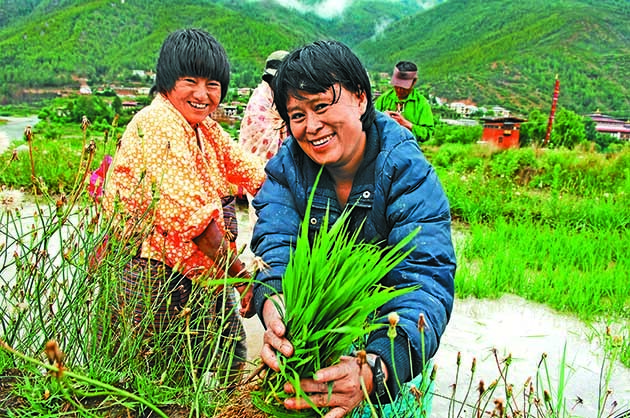 Forgoing the temptations of economic growth, Bhutan favors "Gross National Happiness" over GDP. But can it stop the material world from seeping into its national fabric? Bhutan Wants Happiness – What does Taiwan Want? Bhutan is committed to the well-being and happiness of its people. National development has a vision, concrete goals and ways to achieve them. Which road should Taiwan take in its national development? Unlike preceding generations, the Bhutanese youth of today are not content to live in poverty and rely on the government for help. 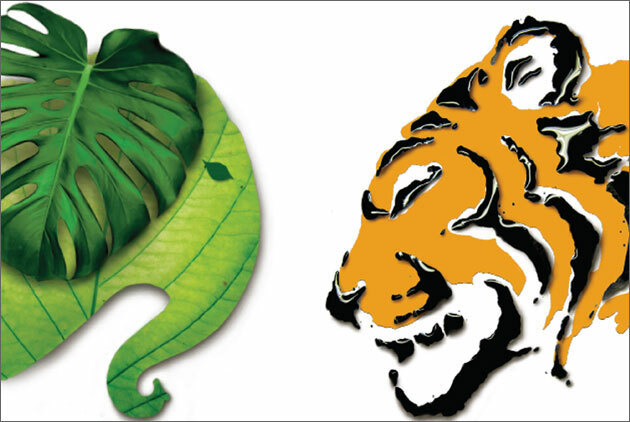 They are symbolic of a changing Bhutan and the hope of achieving economic prosperity. Traveling the length of gently curving Provincial Highway No. 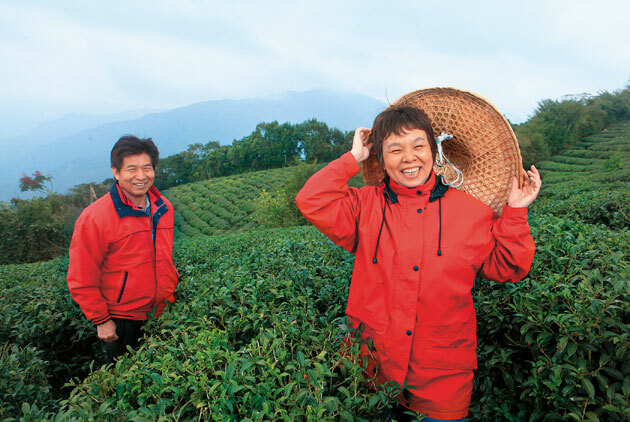 1, CommonWealth Magazine witnesses the rising vitality of grassroots Taiwan, and discovers seven traits that enable countless Taiwanese to prevail. Split in two 360 years ago, the painting "Dwelling in the Fuchun Mountains" has come together again at Taipei's National Palace Museum. What is the best way to take in this legendary painting? In this year's Greater China top 1,000, sales were up, but many mainstays failed to make the cut, as a titanic struggle of business philosophies unfolded. Which companies emerged as the biggest winners? The G2 – China and the U.S. In as little as a decade, China will eclipse the U.S. as the world's biggest economy. As America shares its superpower status with China, their often contradictory rivalry is becoming a decisive factor in the fate of Taiwan, and the world. China Sets the Rules – How to Win the Game? Promoting its own standards and rewriting the game rules across a range of industries, China hopes to go head-to-head with the leading standards of the West. Once China can "call the shots," how can Taiwan reap the rewards? 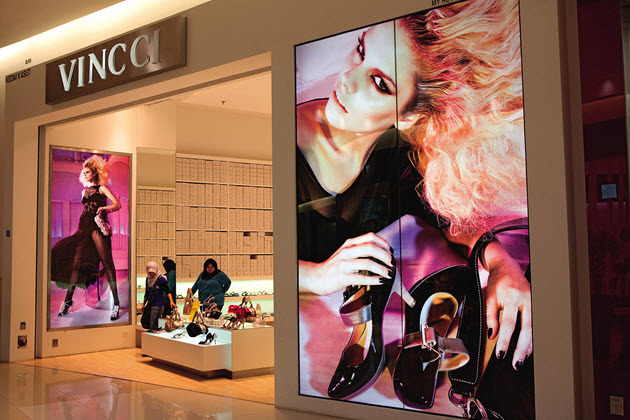 Once denizens of a primary battleground for top-quality branded goods, the Japanese are now tightening their belts. 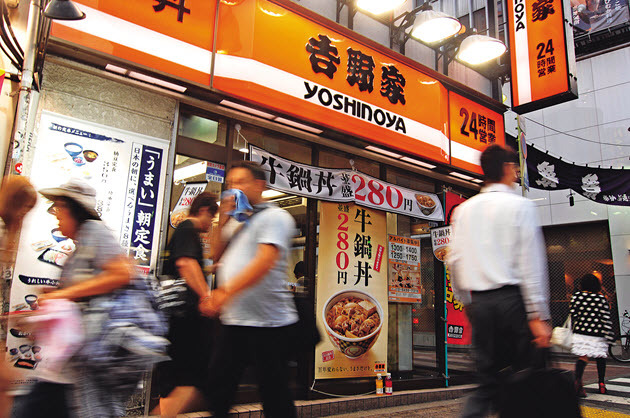 Yoshinoya's new low-end Beef Bowl speaks volumes about the Japanese market's sea change. 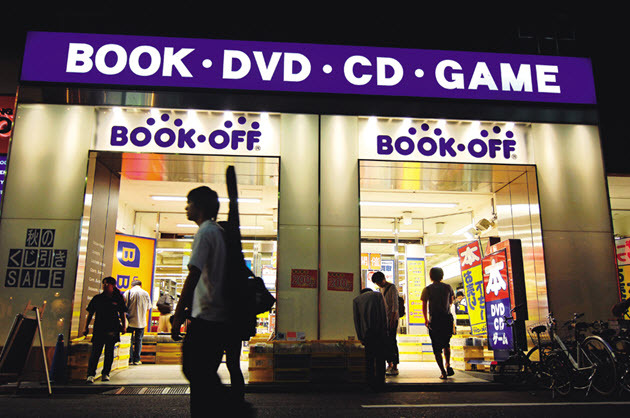 Japan-based Bookoff has developed a new model for selling used books that is changing the face of Japan's publishing sector and reading environment. What are the secrets of its success? 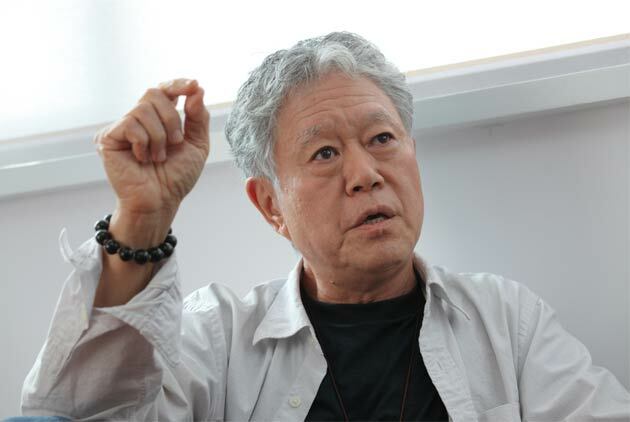 Taiwan's "godfather of forex," now deeply engaged in China's burgeoning commercial banking sector, ponders the grand harvest that potentially awaits Taiwanese banks in China, and the strategies necessary to succeed there. Things are looking up for Songshan Airport. 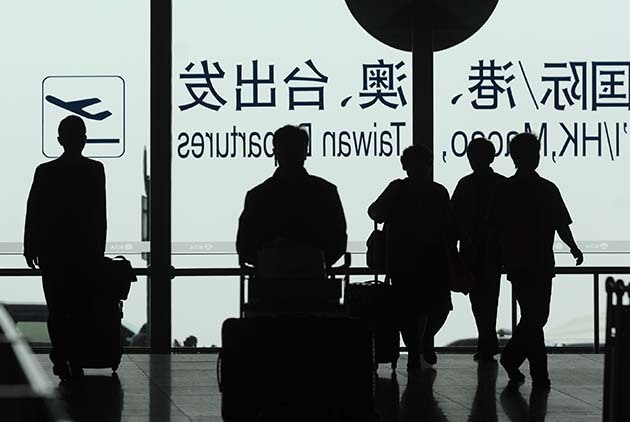 With a new direct link to Tokyo, it's taking an ever-bigger bite of the commercial market pie, and Taiwan's importance in the Asian airline industry continues to rise. 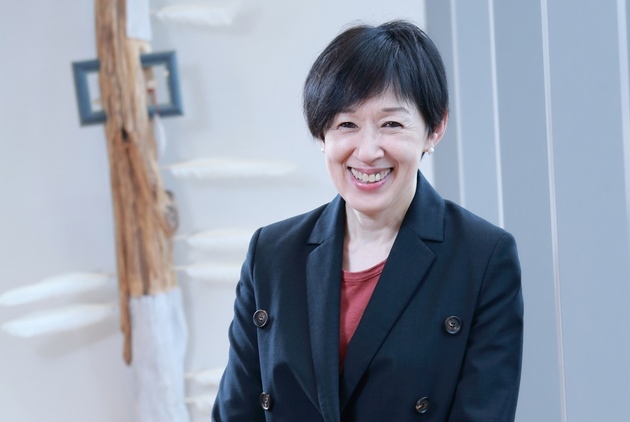 Yuriko Koike, the opening speaker at the upcoming CommonWealth Economic Forum, is Japan's most high-profile woman politician, with her eyes set on the post of prime minister. 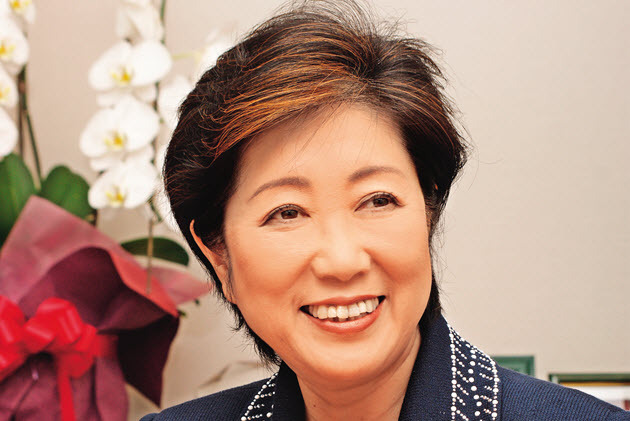 What role does she envision for Japan in the new Asia? With its sleek, modern interior, Vietnam's popular restaurant chain Pho24 is taking the traditional bowl of noodles to new heights. 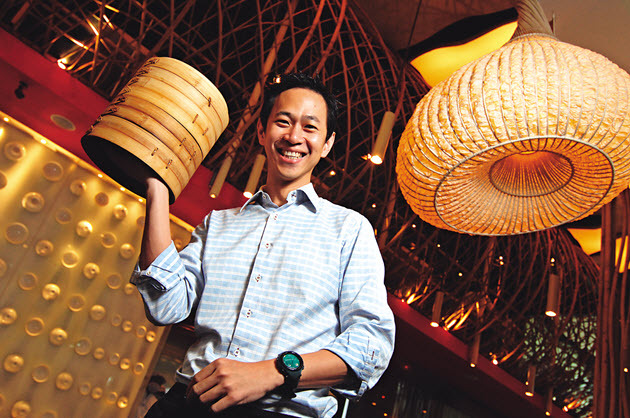 How did founder Ly Qui Trung win out against the multinational fast food competition? As Indonesia shifts from exports to an economy driven by domestic demand, its Taiwanese business presence is also shifting from manufacturing to the service industry. What are the secrets to tapping this new source of wealth? Indonesia is BlackBerry's fastest growing market in the world. Vietnam was chosen by Intel for its new US$1 billion wafer factory. How have these two countries become Asia's newest stars? When their father took his own life, Albert and Arthur Ting suddenly faced the huge task of finishing his half-built empire. 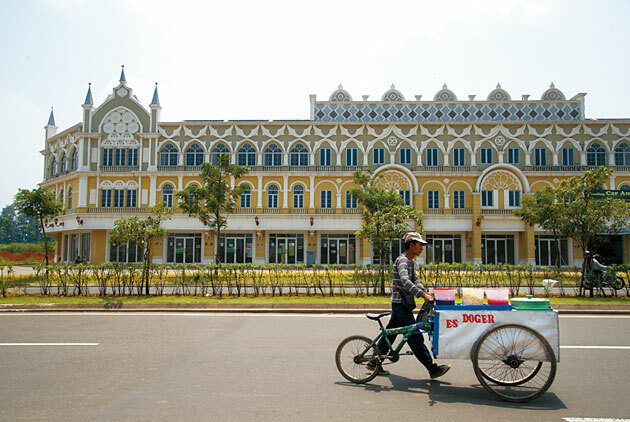 Shunning the spotlight, they have spent half a decade quietly constructing a sprawling new suburb south of Saigon. The global market share of South Korea's biggest companies is on the rise. How have these chaebols managed to stay both big and flexible, and why are they so competitive? 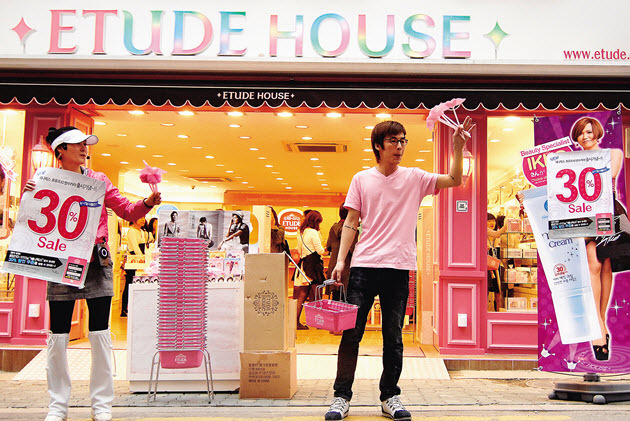 From Seoul's trendy Myeongdong shopping district to the vanity tables of Europe and America, the brands of South Korean cosmetics giant Amore Pacific are increasingly at home, as beauty becomes the latest Korean craze to sweep the globe. 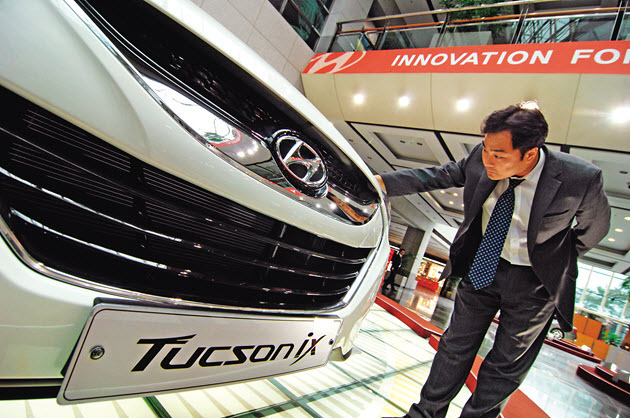 Last year as leading Japanese automaker Toyota plunged into crisis, South Korea's Hyundai swiftly seized the day, surging to fourth place in global rankings. This incredible "Hyundai speed" has since become the model to emulate. Around 800,000 South Korean businessmen are presently in China, flexibly assimilating their companies into the Chinese business environment, and amassing US$140 billion in bilateral trade. 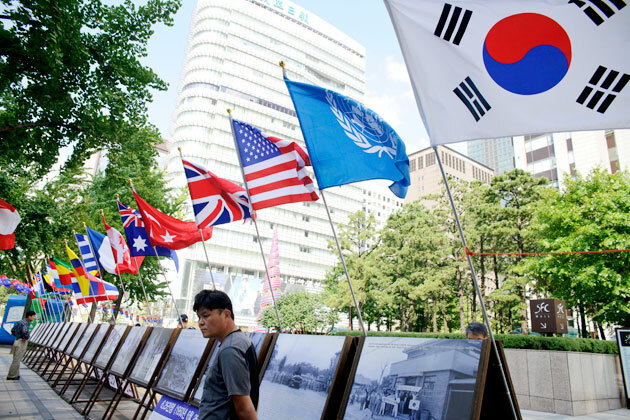 CommonWealth Magazine was in Seoul recently to find out how South Korea emerged stronger from the global economic meltdown and what its future ambitions are. This time he's no pop star. 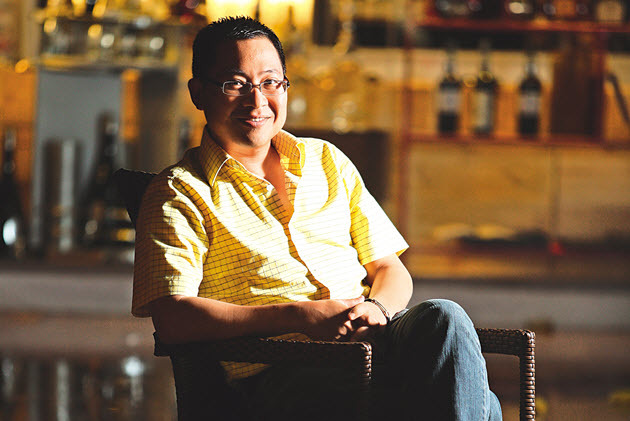 Donning the cap of an ordinary small businessman, Ashin is spearheading one of Taiwan's most successful fashion brands. 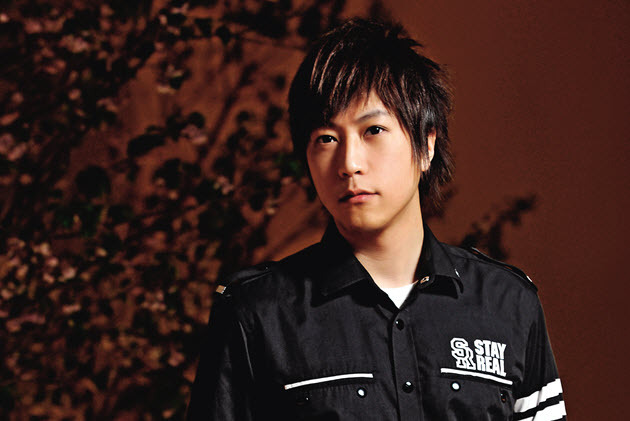 What does Stayreal say about the changing face of "Made in Taiwan?" 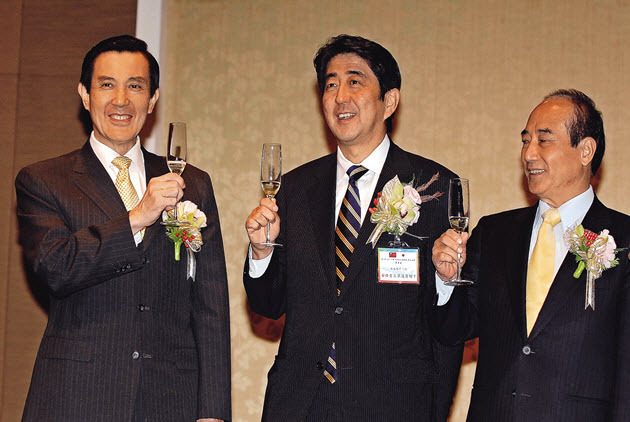 In January 2010, the elite of the Asian economic establishment came together in Taipei to discuss the challenges and opportunities that lie ahead, in an annual forum with Asia as its focus. 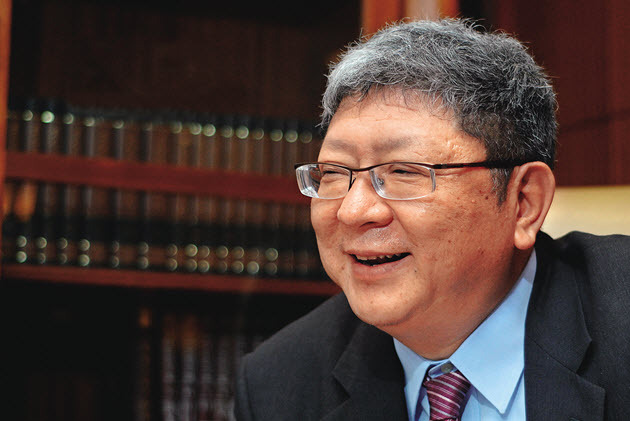 In this exclusive interview, Dr. Tan gives his insights on the global economy in the aftermath of the financial crisis, and the opportunities for Asian banks. 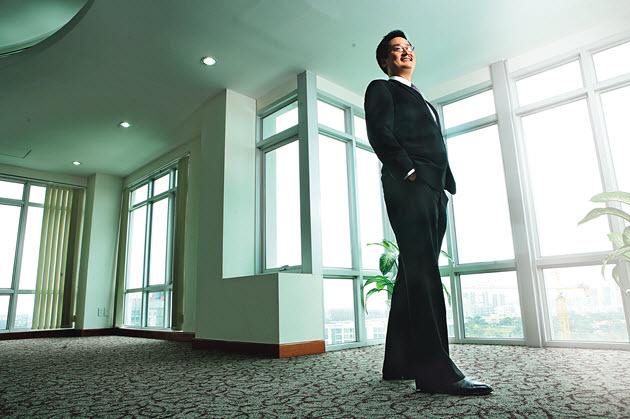 When no one else was gung ho about China, Silas Siu-shun Yang daringly expanded his accounting firm into China. And when Arthur Andersen collapsed, Yang again moved quickly to grab his stricken competitor’s staff in China. 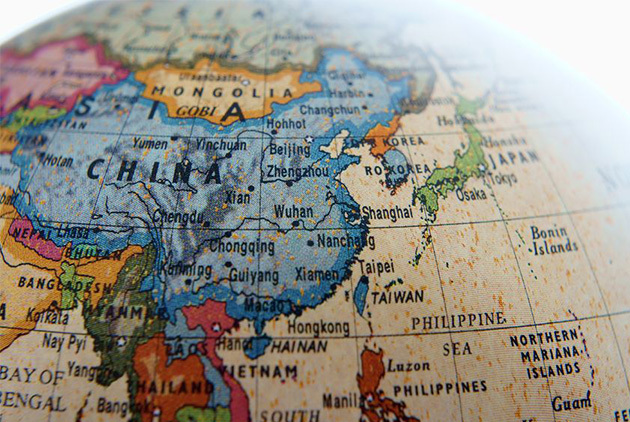 Where does this seasoned China hand see new opportunities in Asia in 2010? Casting an eye across the globe, there is nowhere its shadow isn't cast. Its services may just lie behind that ATM card you use or that express delivery package you received. 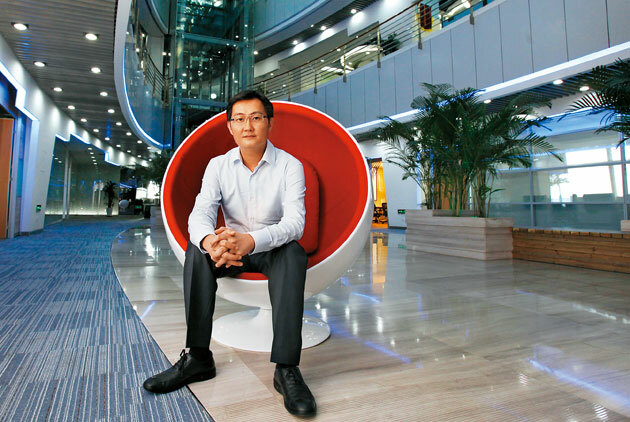 How does India's biggest information services concern intend to expand its presence in the Taiwan market? One Malaysian fashion brand is ruling the hearts of ASEAN, with footwear as well-made as Western brands, designed with Asians in mind. 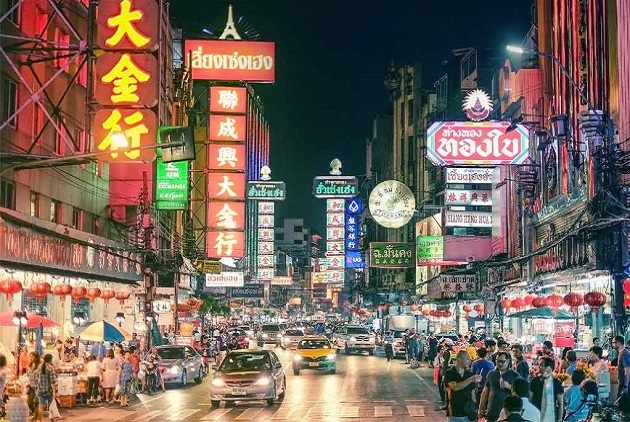 With the rising consumption power of Southeast Asia, many homegrown businesses are becoming regional giants with dominant market positions, by understanding local cultures and embracing an "ASEAN way of thinking. 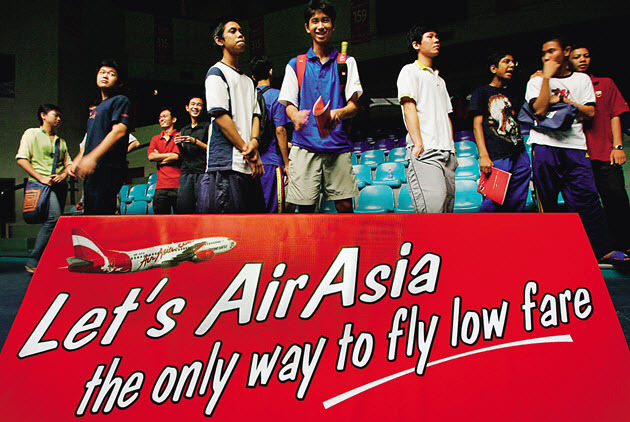 "Air Asia is one prime example. Where Does Taiwan Fit In? 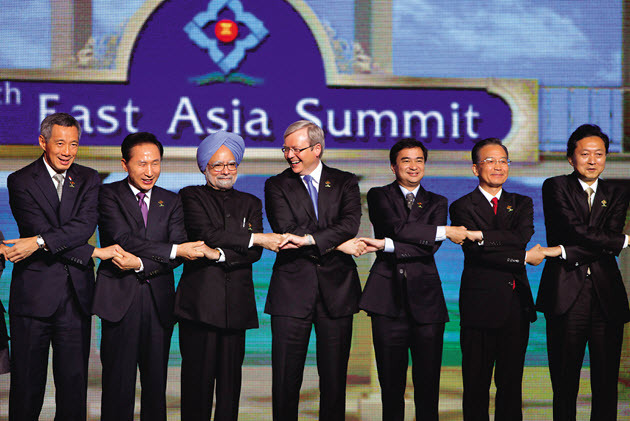 ASEAN is now Taiwan's second largest export market, making Taiwan's participation in an integrated East Asia essential. The next five years will determine whether that happens. 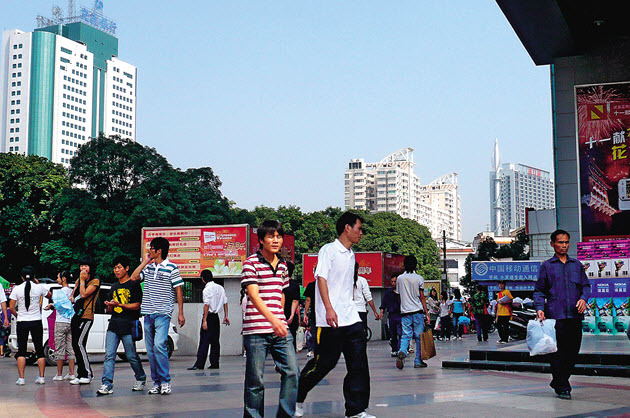 Within a short span of five years, a new regional cooperation strategy between China and ASEAN has turned the sleepy backwater of Nanning into China's glitzy gateway to Southeast Asia. 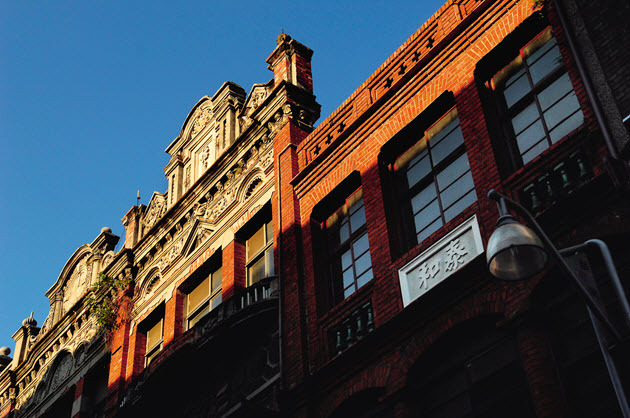 Steeped in culture and basking in a wave of urban renewal, Taipei's West Side is undergoing a quiet metamorphosis. A new gateway to Taiwan, a new oasis in Taipei, the city's West Side is currently standing on the threshold of rejuvenation. 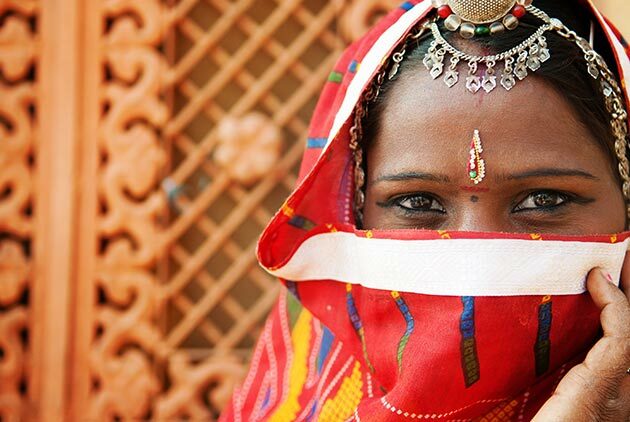 India has the largest population of blind people in the world. Aravind Eye Hospitals offer free operations for poor people, yet by maximizing efficiency can still turn a profit of nearly US$8 million a year. 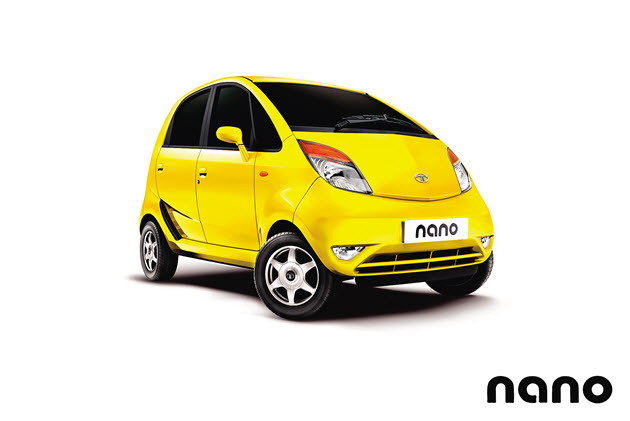 The ultra-affordable Nano means ordinary Indian families need no longer brave the rains squeezed together on a motorbike, and it may help Tata Motors ride the energy-conservation wave into Europe and North America. After the breakup of the Soviet Union, the world swept in to scoop up Russia's skilled engineers and scientists. Now they have not only become behind-the-scenes movers and shakers in the global tech industry, they are also the key to Russia's resurgence. Reliant on its abundant resources to fuel an economic resurgence, Russia has been dealt a hard blow by the global economic crisis. Characterized in the Western media as a misguided, dangerous bear, can Russia regain its former glory? Already an important source of the world's raw materials, Brazil is taking shape as a new frontier of business opportunity, an increasingly important market for companies, and fertile soil for enterprising Taiwanese business people. Toyota for the first time ranks as the world's number-one automaker, yet it faces declining market demand. The hybrid Prius is its only model bucking that trend. Is the eco-friendly car the shot in the arm Toyota desperately needs? 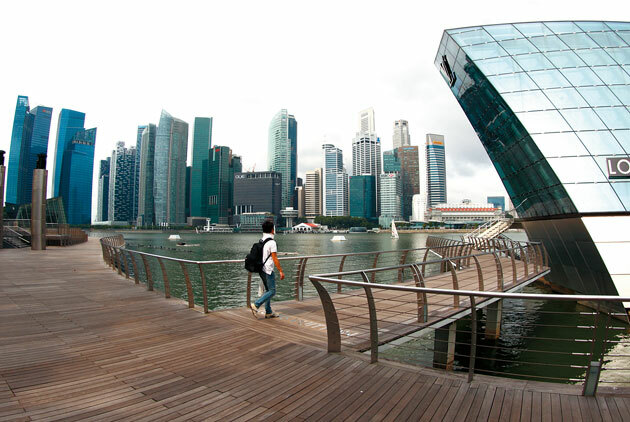 With its active cultivation of civil servants, attraction of global talent and penchant for constantly reinventing itself, the tiny city-state of Singapore has many lessons to share. 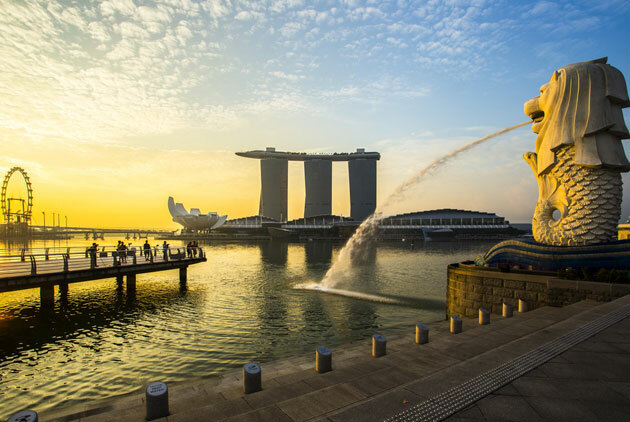 In this exclusive interview, Singapore's Prime Minister talks about staying competitive in a climate of constant change, being the beacon for liveable cities in Asia, and enticing a top-flight work force. Amid Vietnam's current financial crisis, one industrial park was able to buck the trend, attracting an influx of large corporate tenants. What lies behind its success? 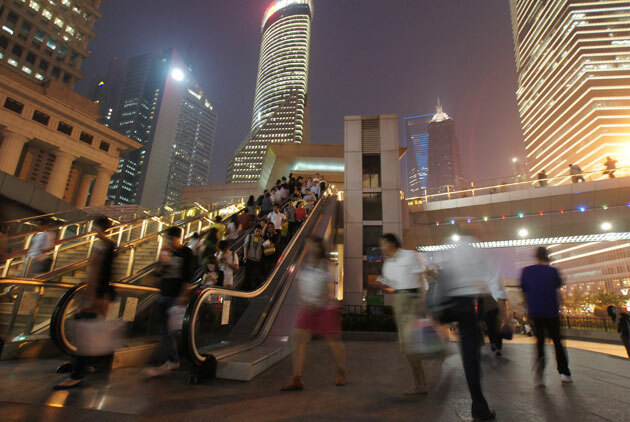 Has Midnight Struck for Asia's Cinderella? Once the new promised land for Taiwanese investors, Vietnam is now beset with a volatile stock market, hyperinflation, and high interest rates. 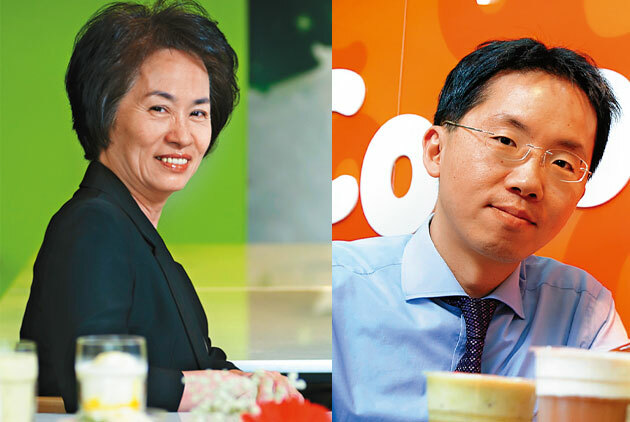 What can embattled Taiwanese businesses do to win in Vietnam? Eighteen-year-old Go prodigy Hsieh Yi Min has stunned Japan by winning several major Go tournaments. 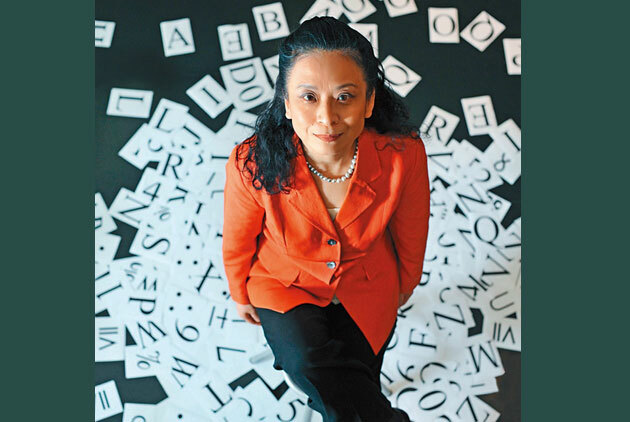 Her rise to the top is a story of perseverance in a fiercely competitive environment. 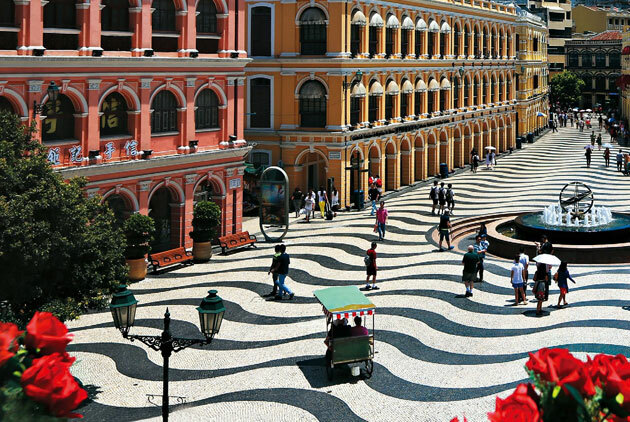 While world-class casinos are showering Macao with wealth, many local residents of this former Portuguese colony question the price they must pay. 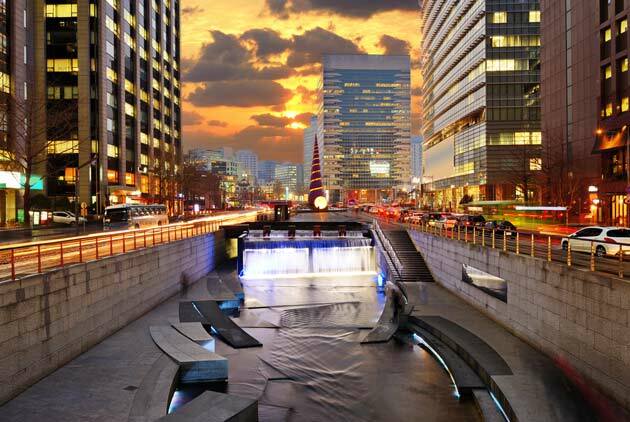 All of Seoul seems to be looking into the future, as the city's infatuation with broadband has turned it into a model of tomorrow's digital lifestyle. Eight million people, eight million smiles. 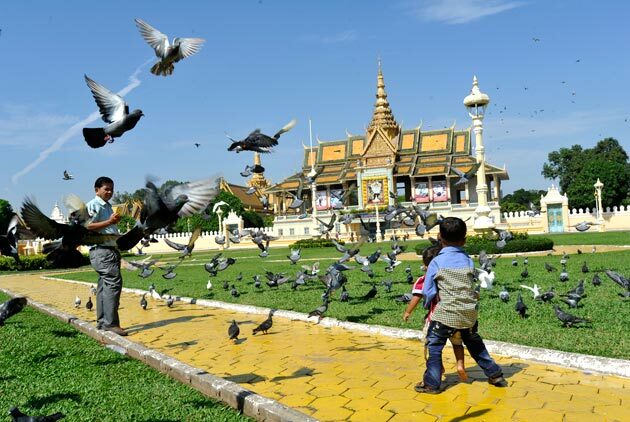 The most tolerant of Asia's cities, Bangkok is described by Westerners as a place you never want to leave. How does this internationalized city preserve its allure? Shedding its seedy reputation of the past, Taichung is putting its best cultural face forward internationally, with a future full of imagination. 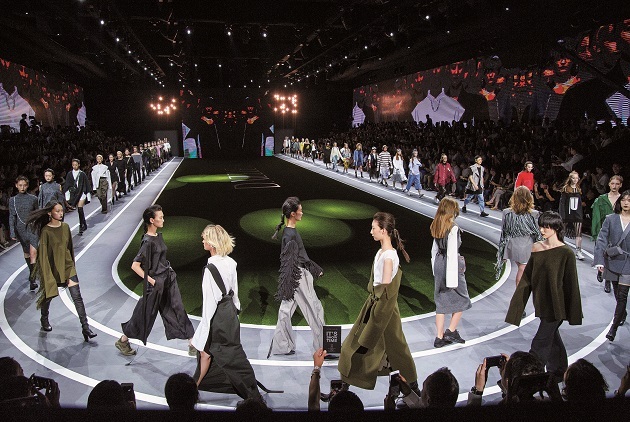 Once minor actors on the world stage, Asian cities are now coming out from the shadows, with new creativity and vitality, making the region hot and hip. On the dirt roads of India, it’s hard to get around in dress shoes. In Taiwan, Synnex’s swift delivery fleet is its pride and joy, but in India they’re doing logistics the Indian way. 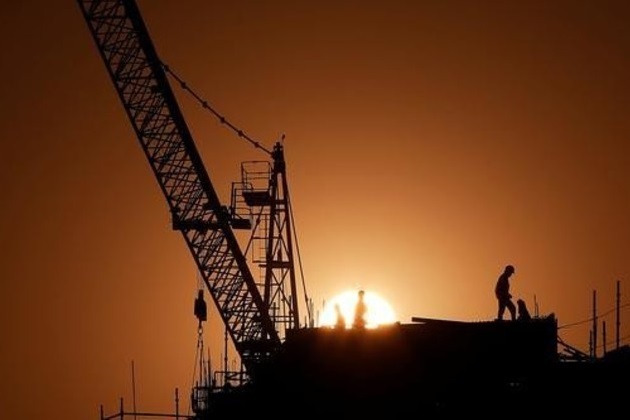 The blazing hot Indian construction market has become the starting line in one Taiwanese company’s race toward a global presence. Architect Kris Yao recalls the surprises, incongruities and moments of growth that happen while traveling in India.